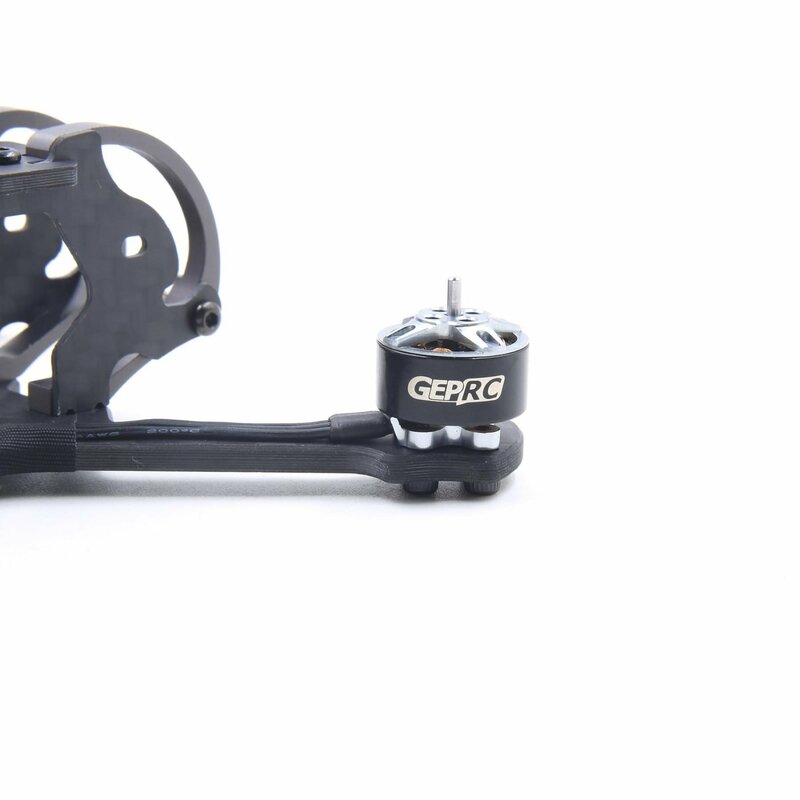 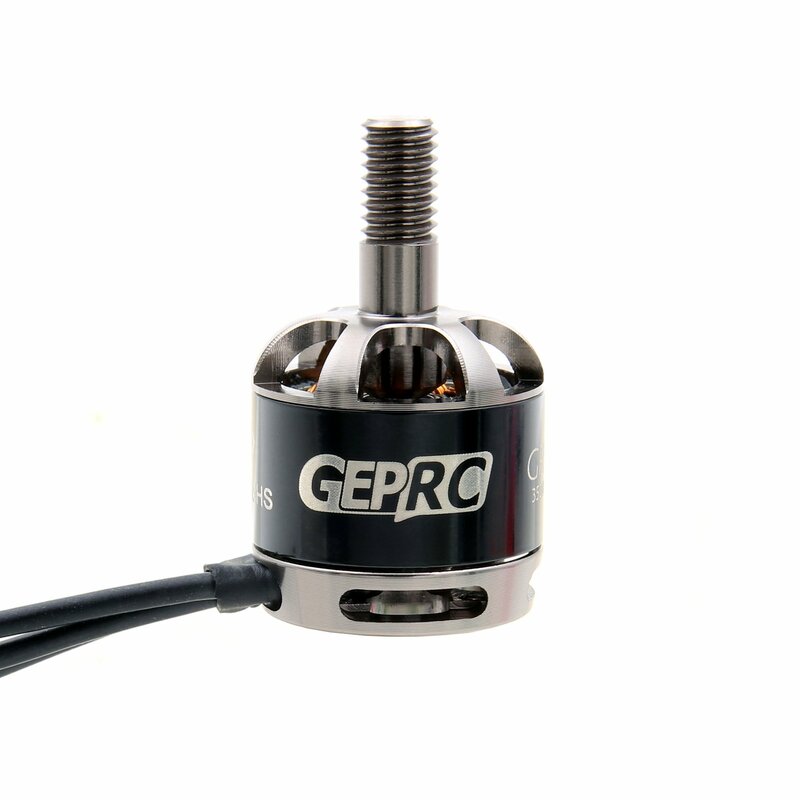 The GEP-GR1507 will bring greater efficiency and explosive power to the 3-inch and 4-inch models. 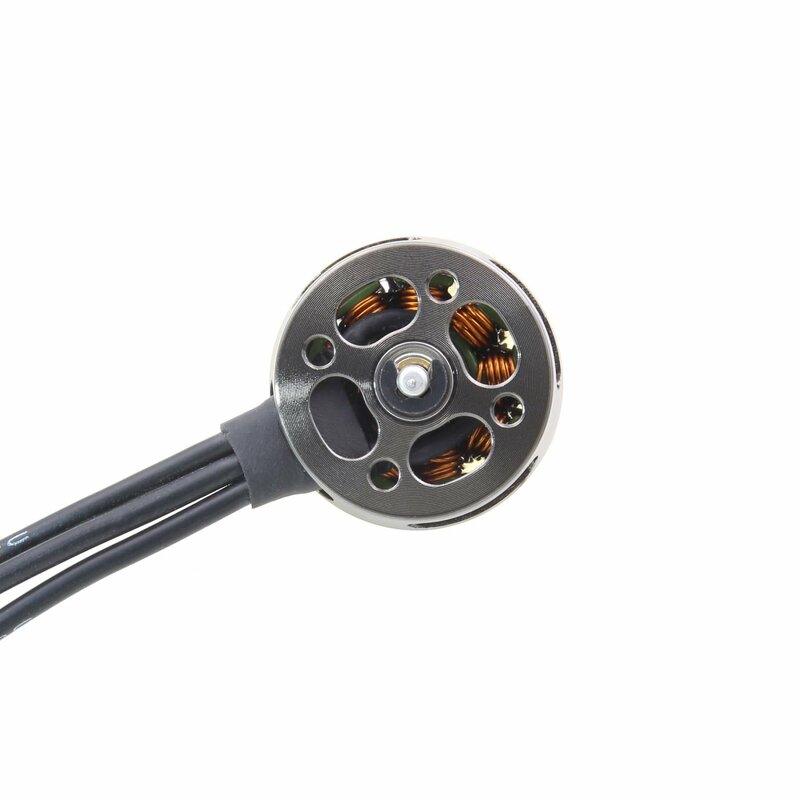 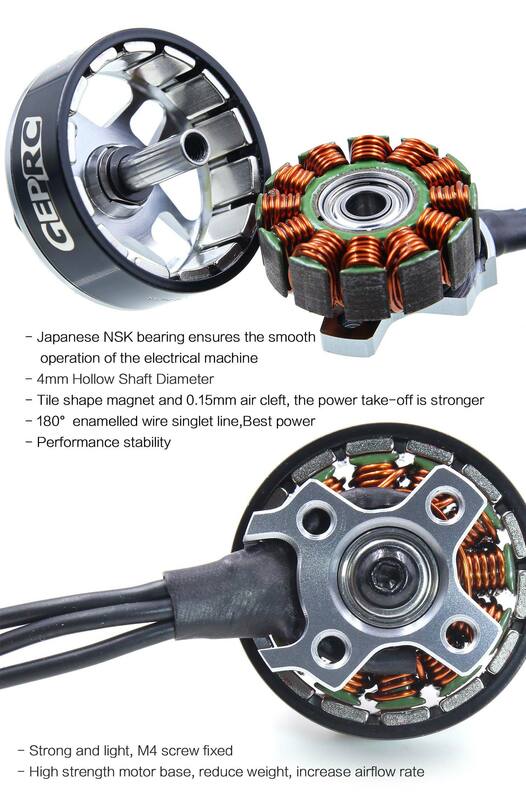 Extending the efficient cooling profile of 1507 increases the cooling performance of the motor by 20%.Using 7075 aviation aluminum material to maintain the impact resistance of the motor, N52H tile magnet, Japan NSK bearing, quality assurance.3 KV values:2800KV / 3600KV /4200KVThe GR1507 will be a new choice for the 3-inch and 4-inch models. 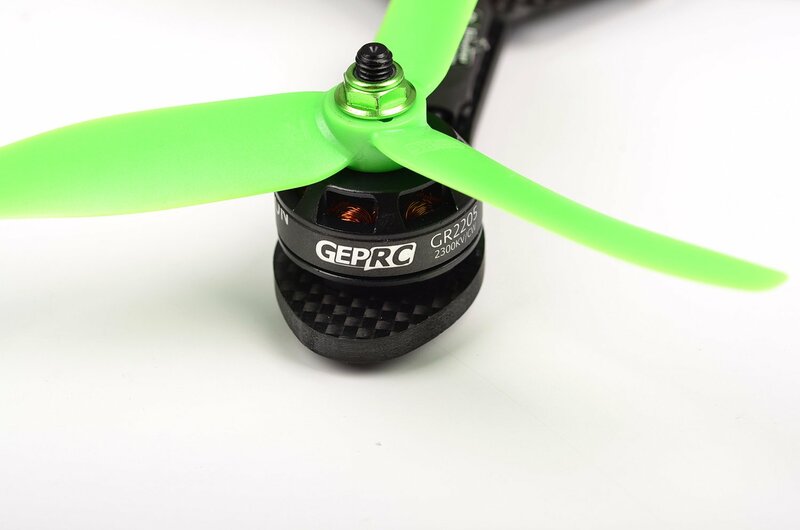 The Micro-FPV quads gives players a lot of fun, but the power is also being upgraded. 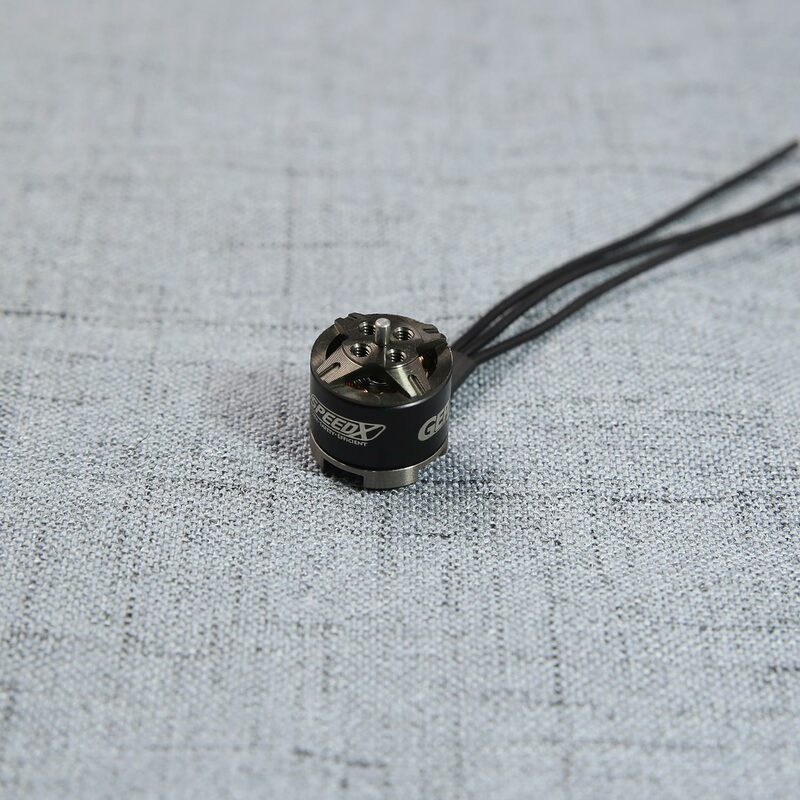 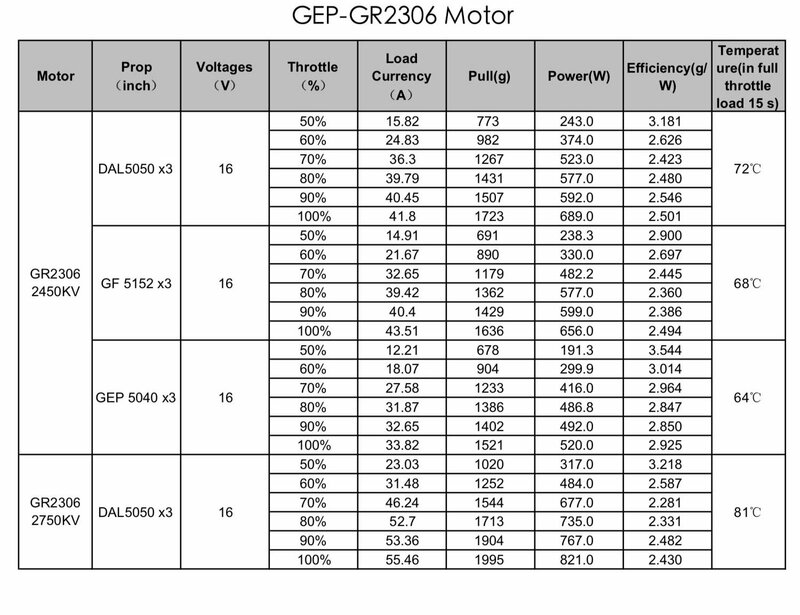 The new GEP-GR1206 will be a stronger power output. 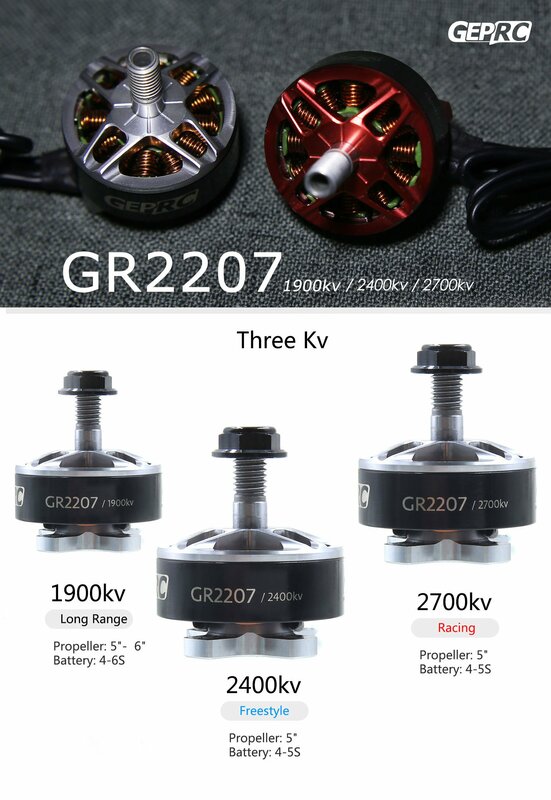 GR1206 will have 3 KV options to meet players' needs for different situations.The 4500KV is recommended with 3-inch propeller and 3~4S battery.The 6000KV is recommended with 2.5~3 inch propeller and 3S batteries.The 7500KV is recommended with 2.5 inch propeller and 3S battery. 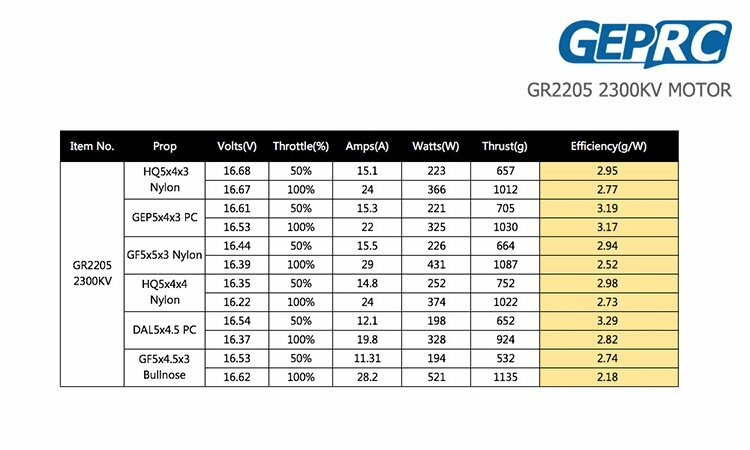 After two months of testing optimization, GEP-GR2207 was finally produced. 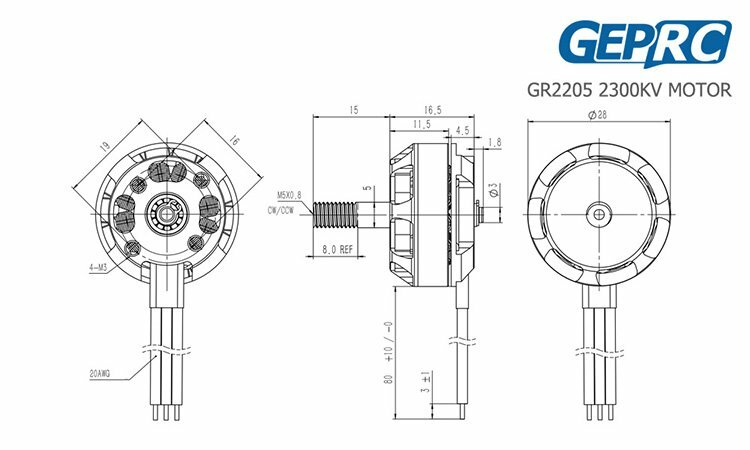 The exterior still USES the four-sided structure of GR2306, which is durable and beautiful. 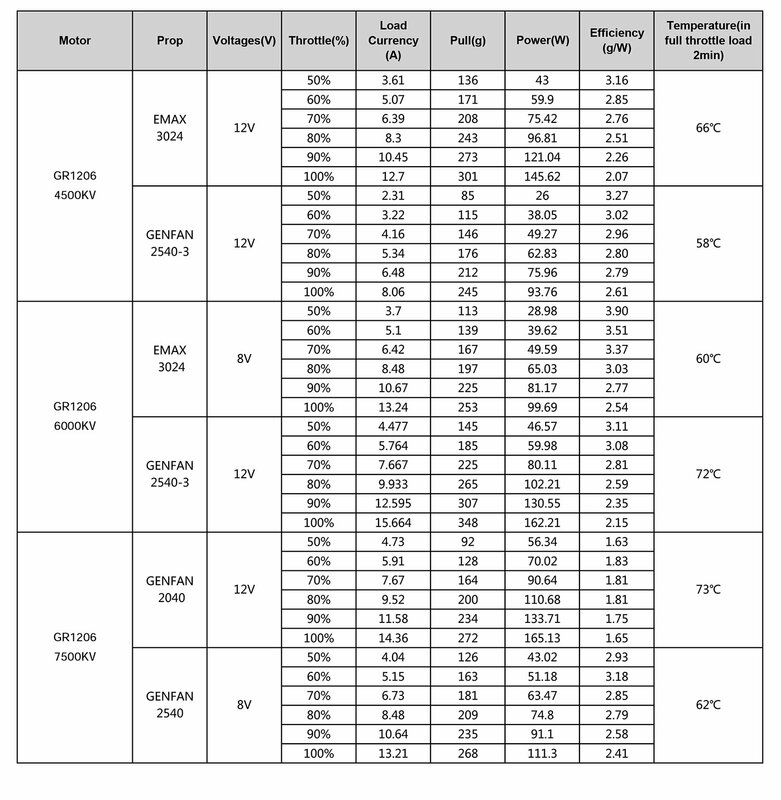 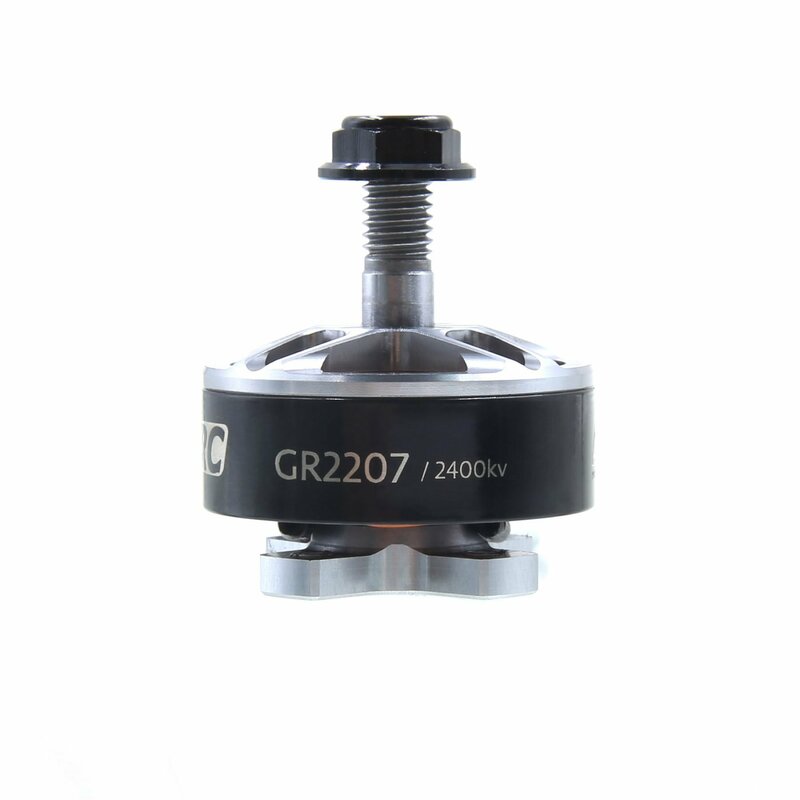 GR2207 is made of advanced materials, including NSK bearings, 7075 aluminum, high precision CNC, N52H arc magnets, etc. 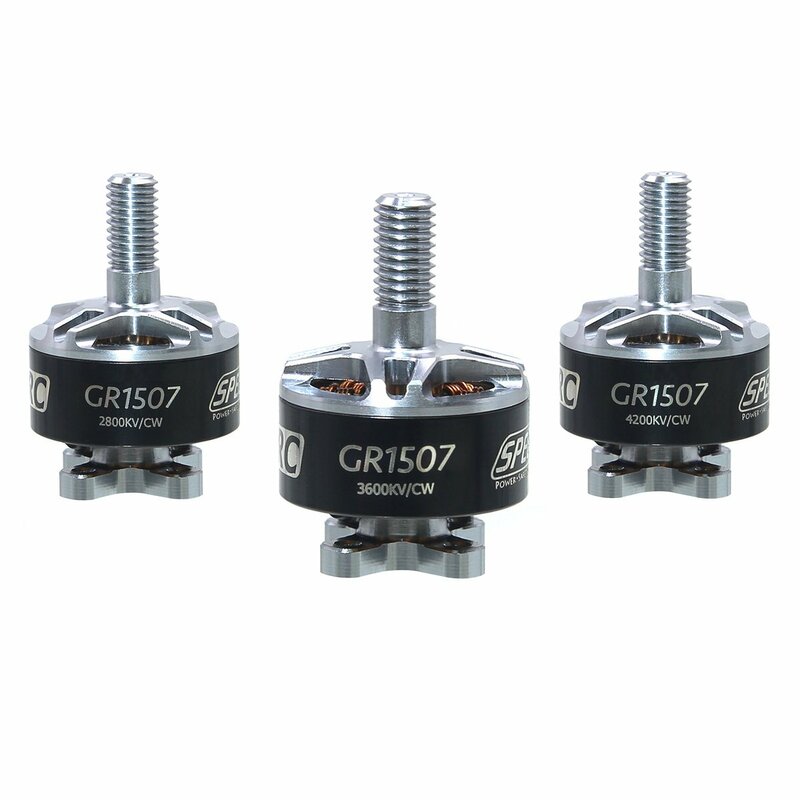 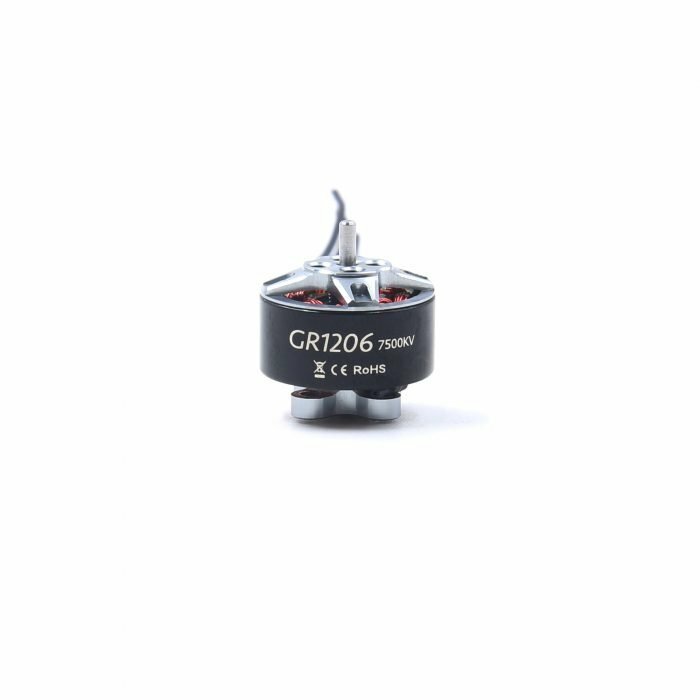 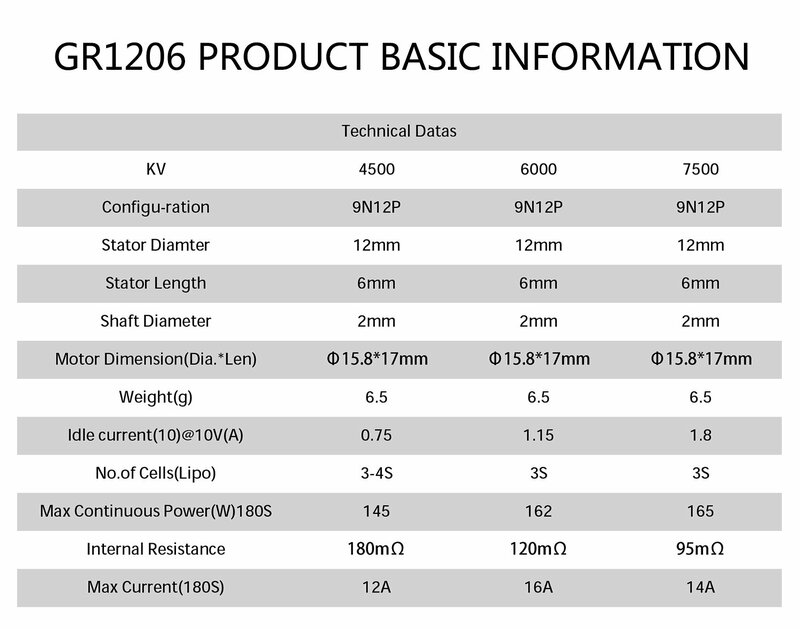 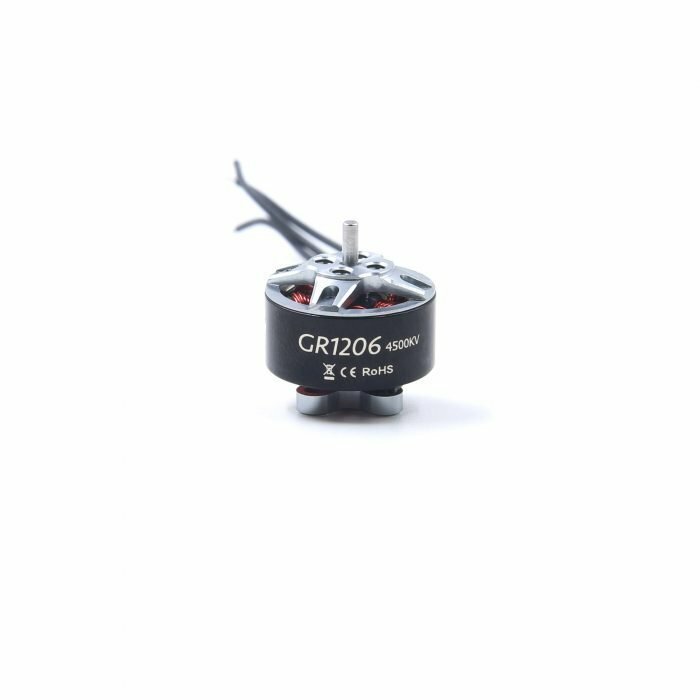 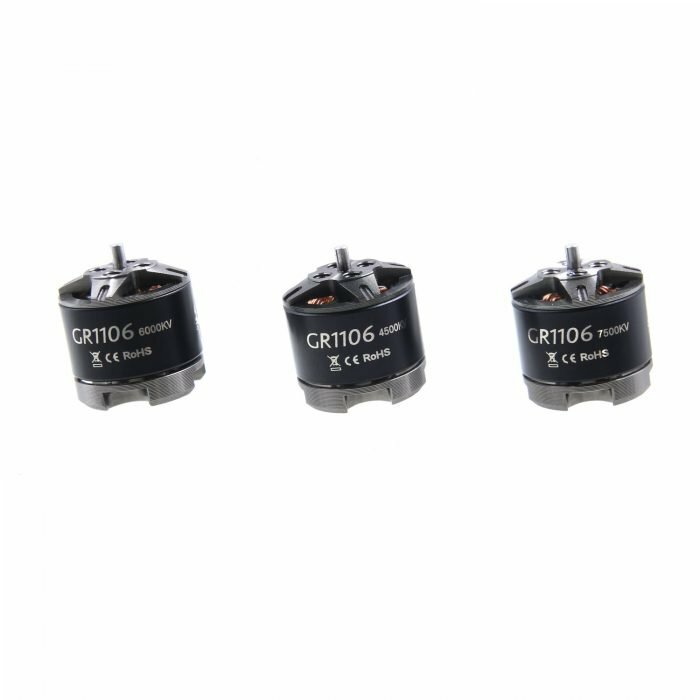 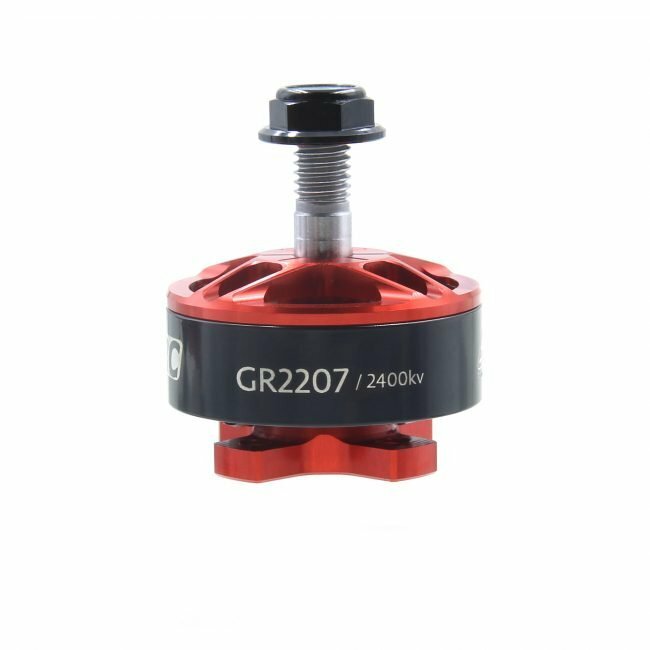 GR2207 provides 3 kv, which is 1900kv, 2400kv and 2700kv respectively. 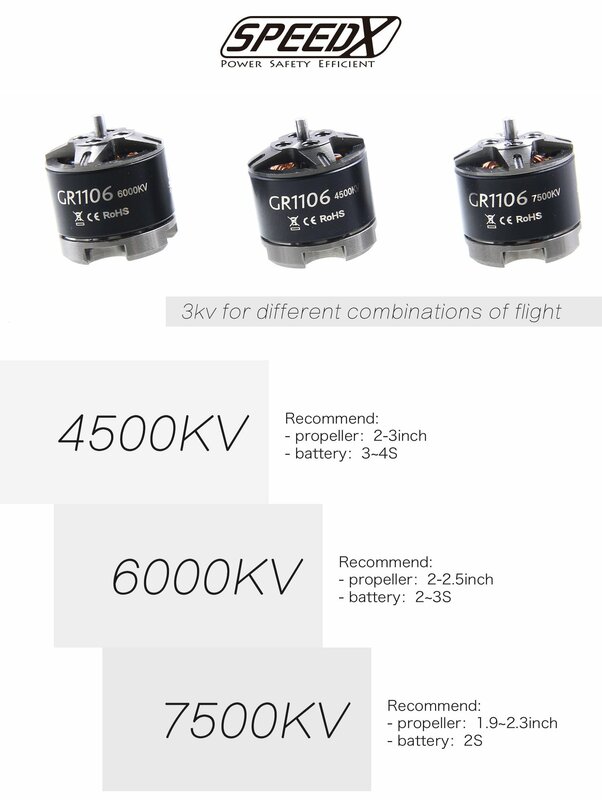 Each kv can meet different needs. 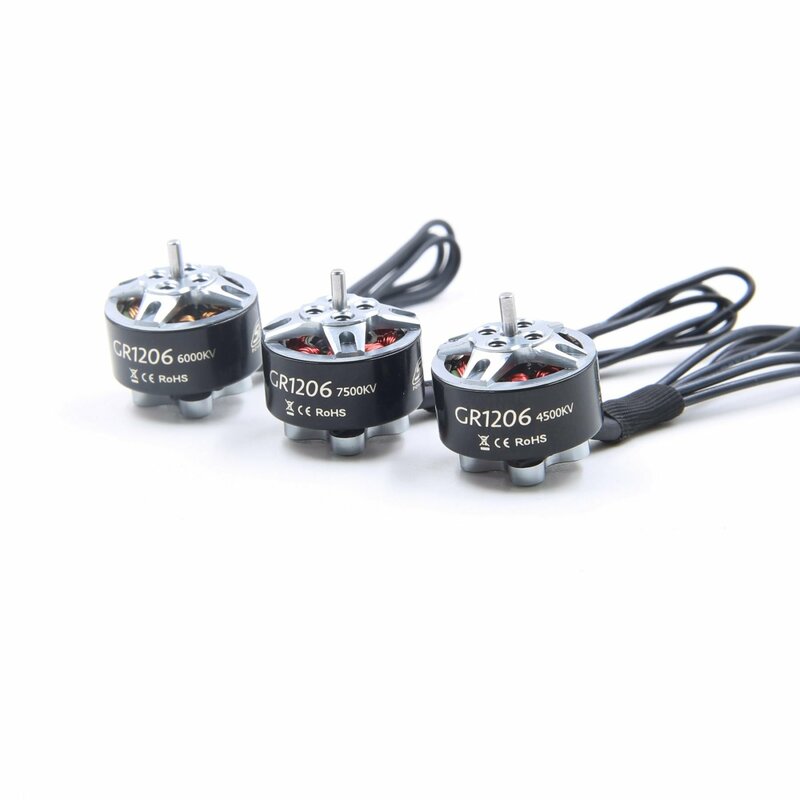 1900kv is efficient for long range flight. 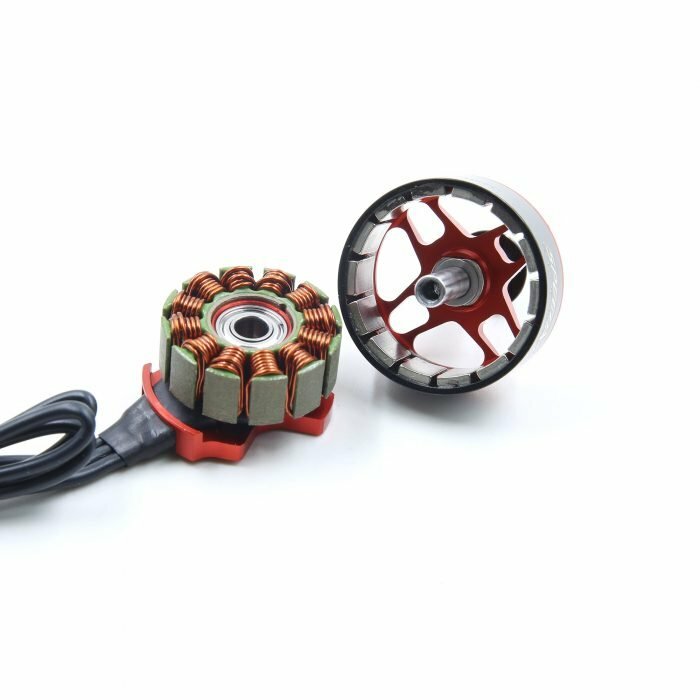 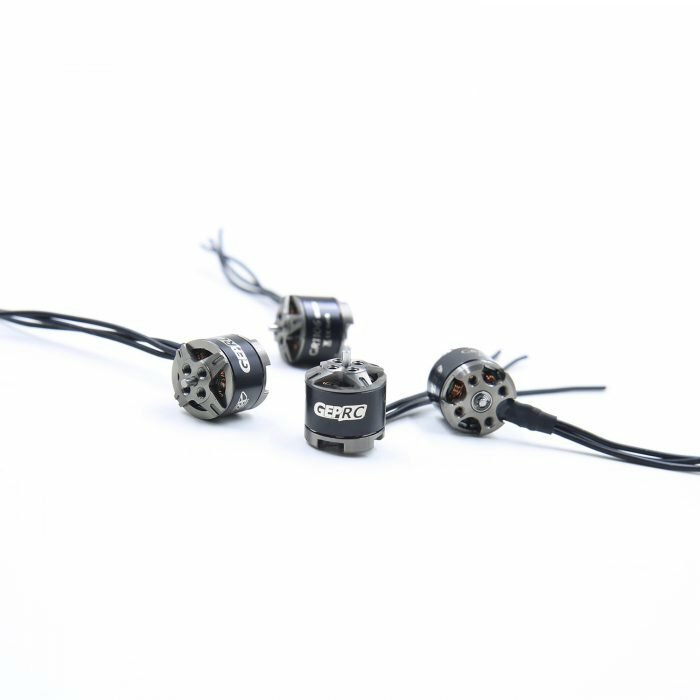 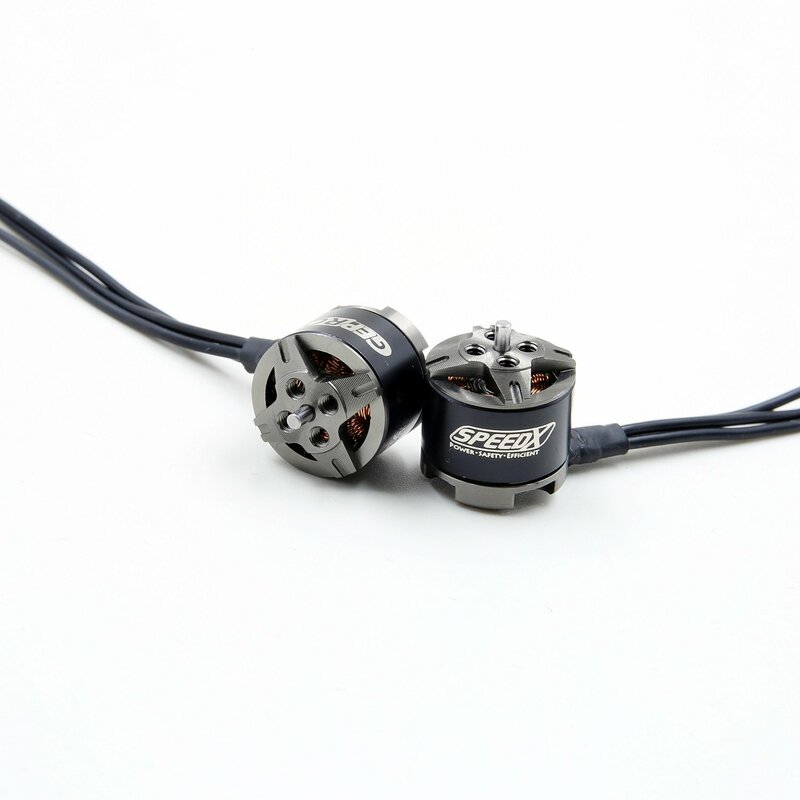 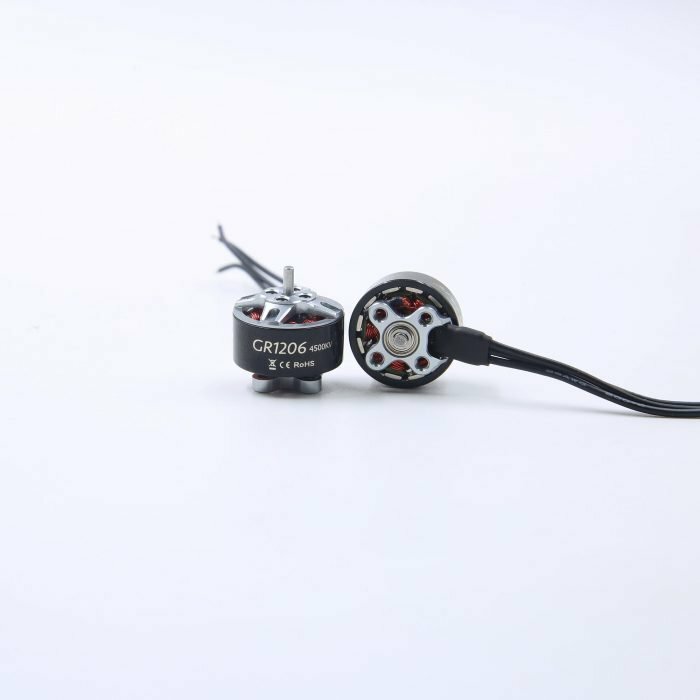 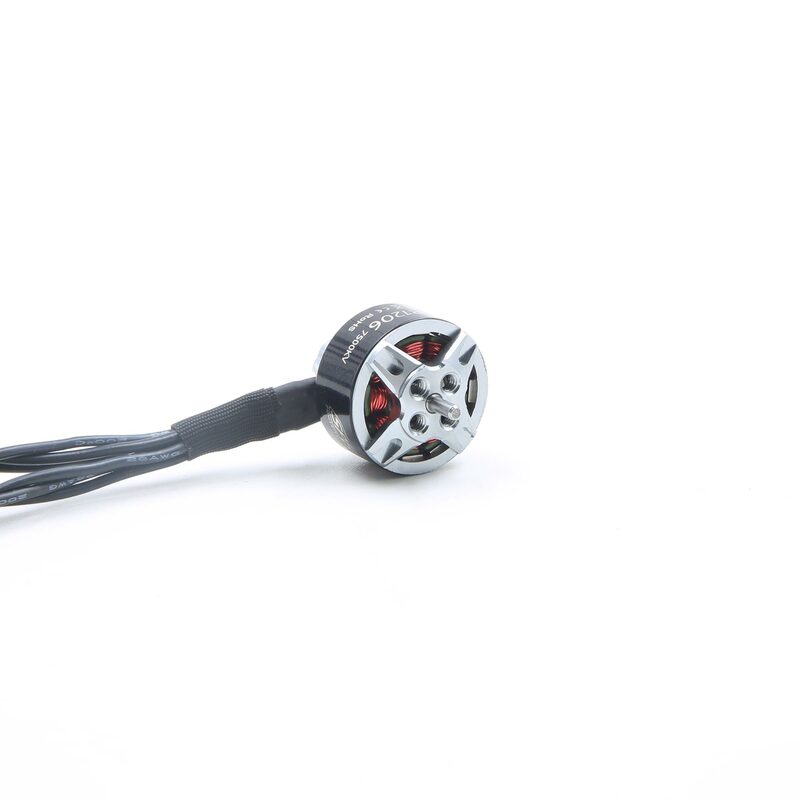 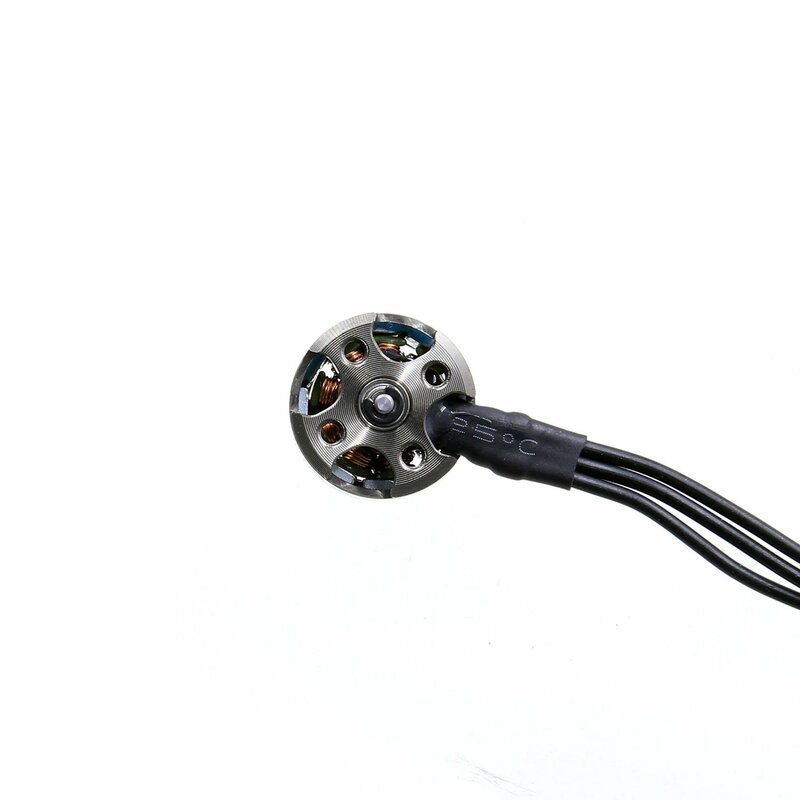 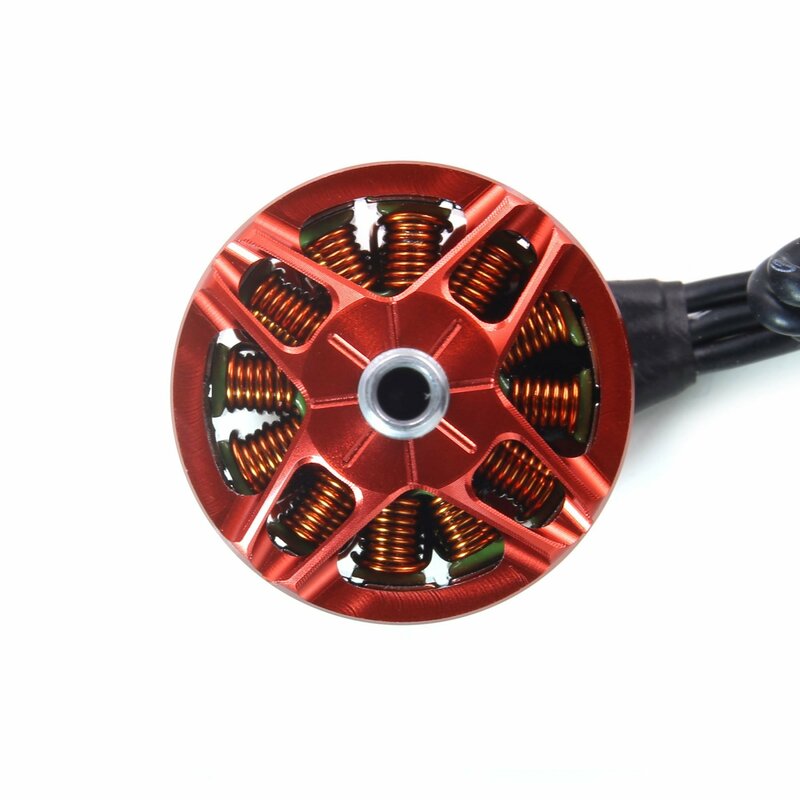 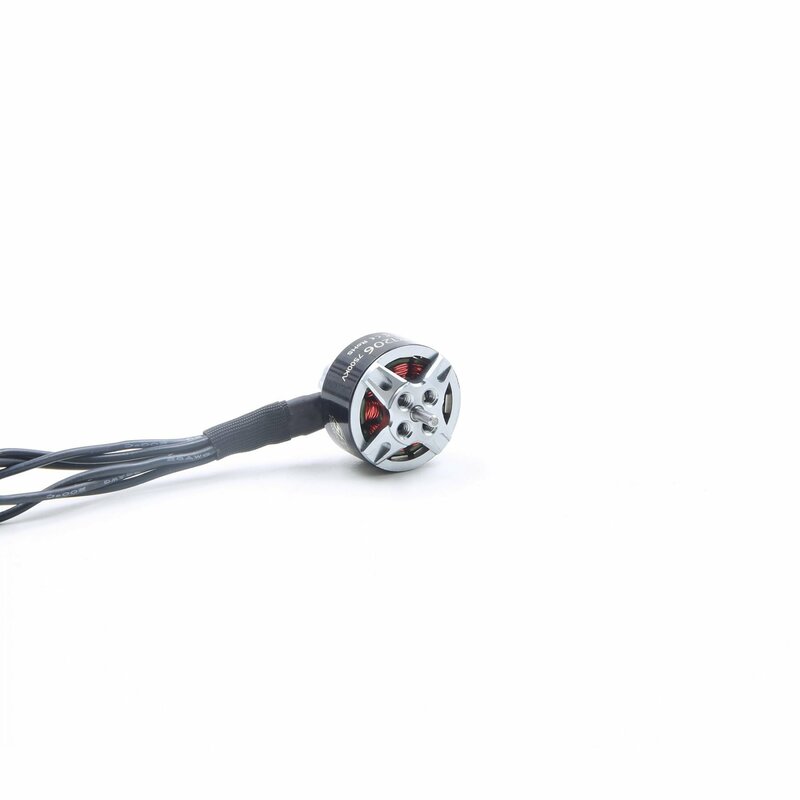 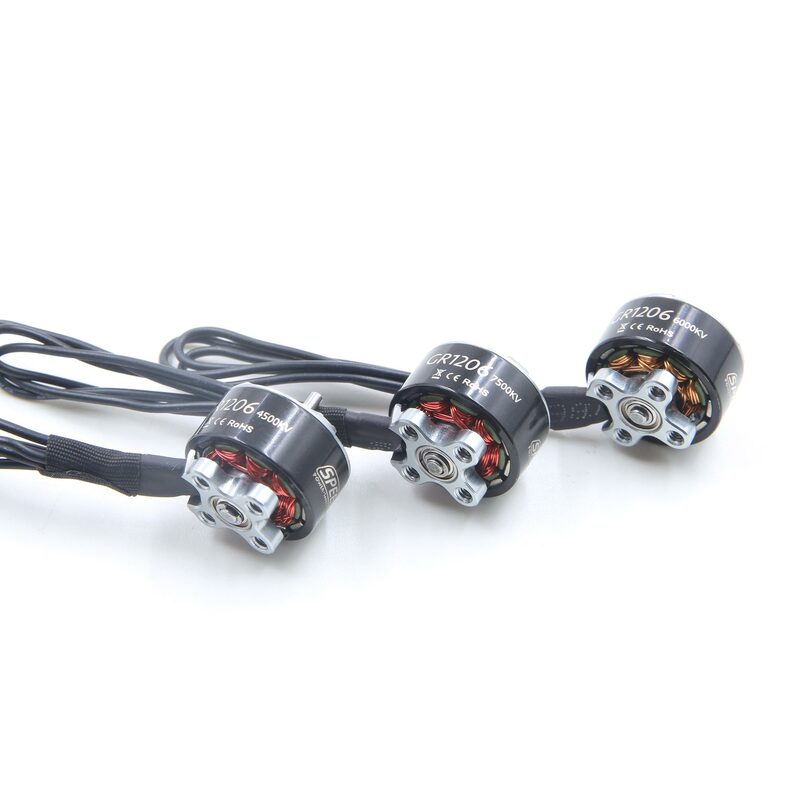 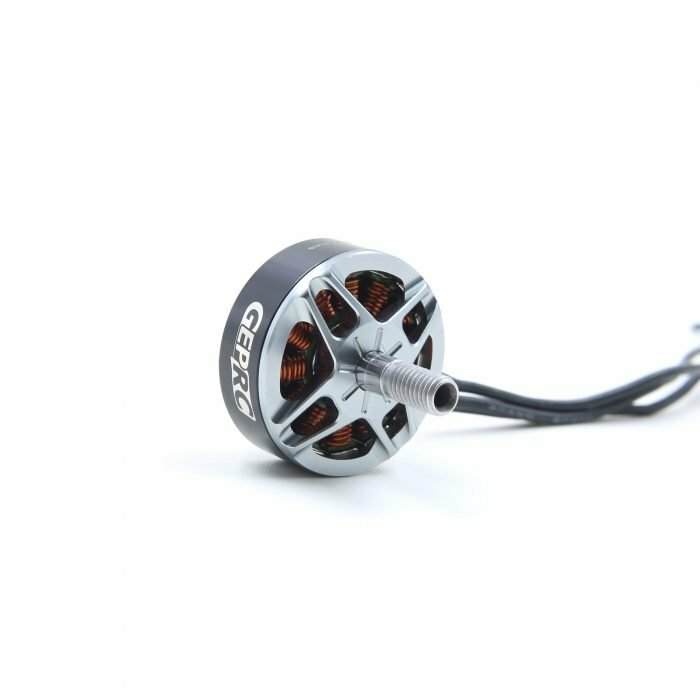 The 2400kv is suitable for Freestyle flight, efficient and powerful. 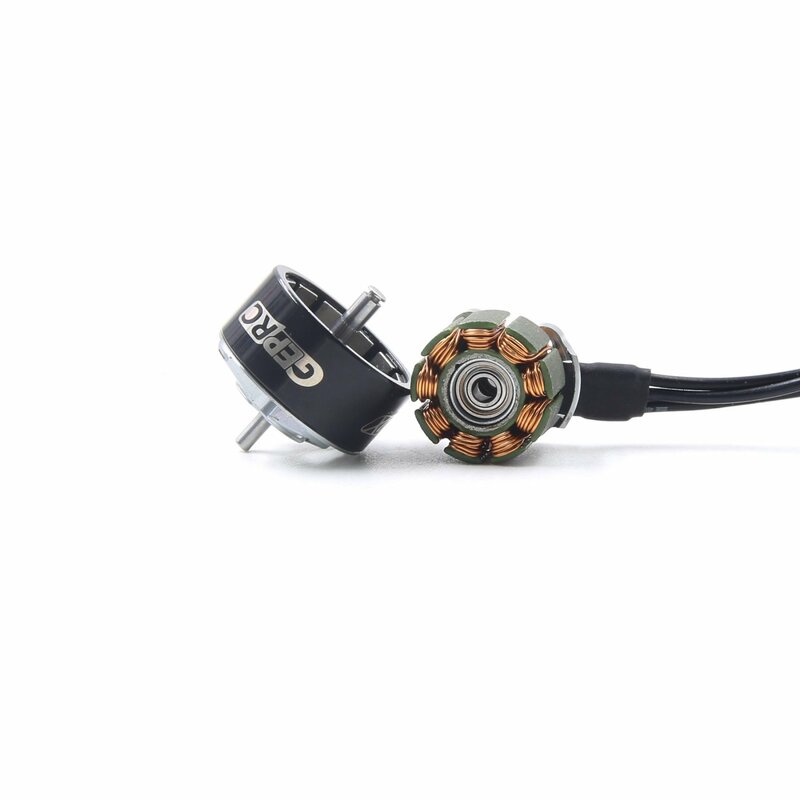 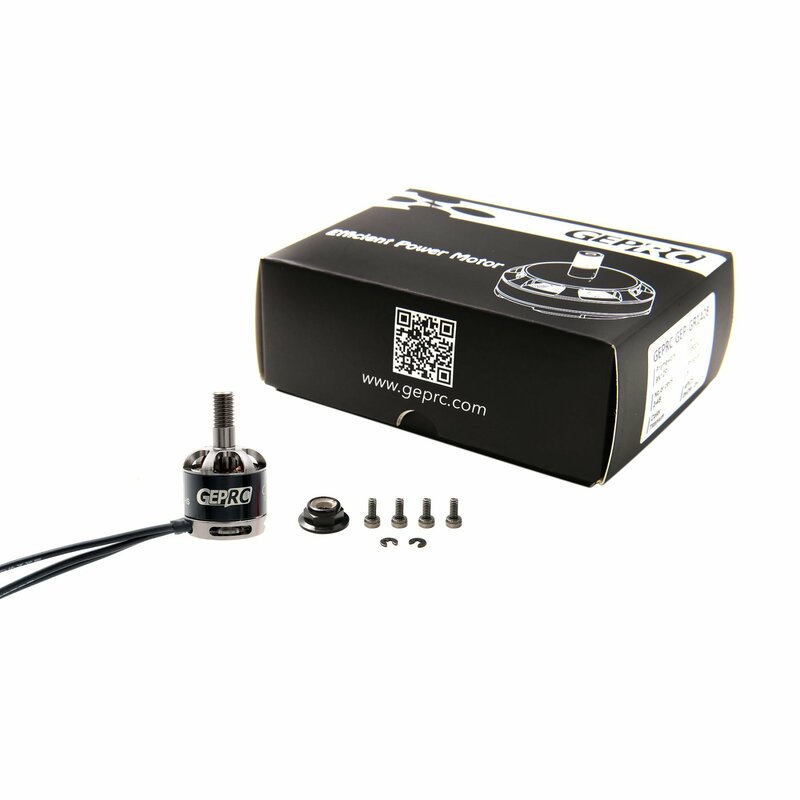 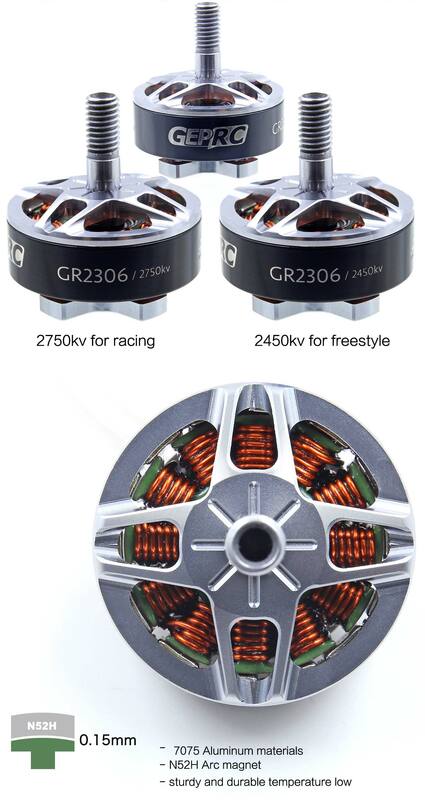 2700kv is more suitable for racing. In addition, GR2207 also provides two colors, Chinese red and titanium. 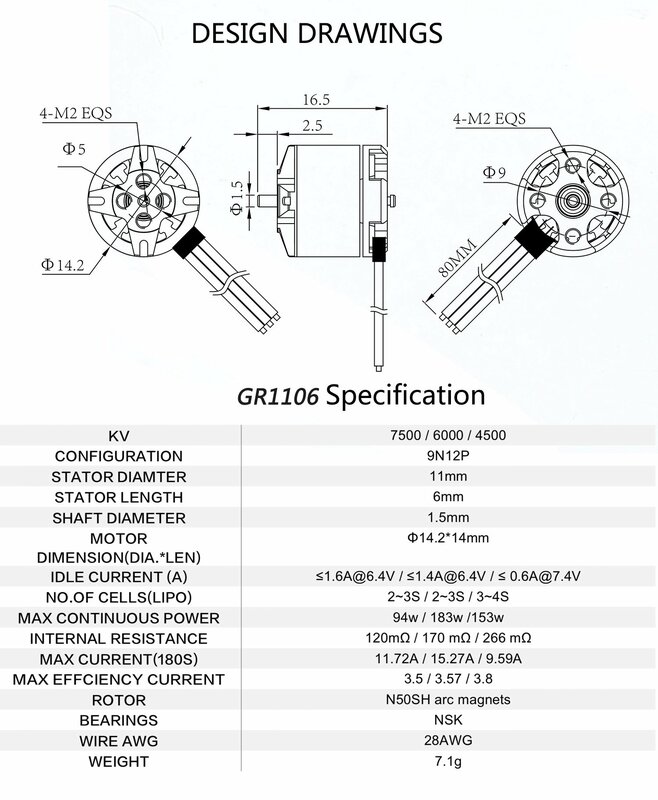 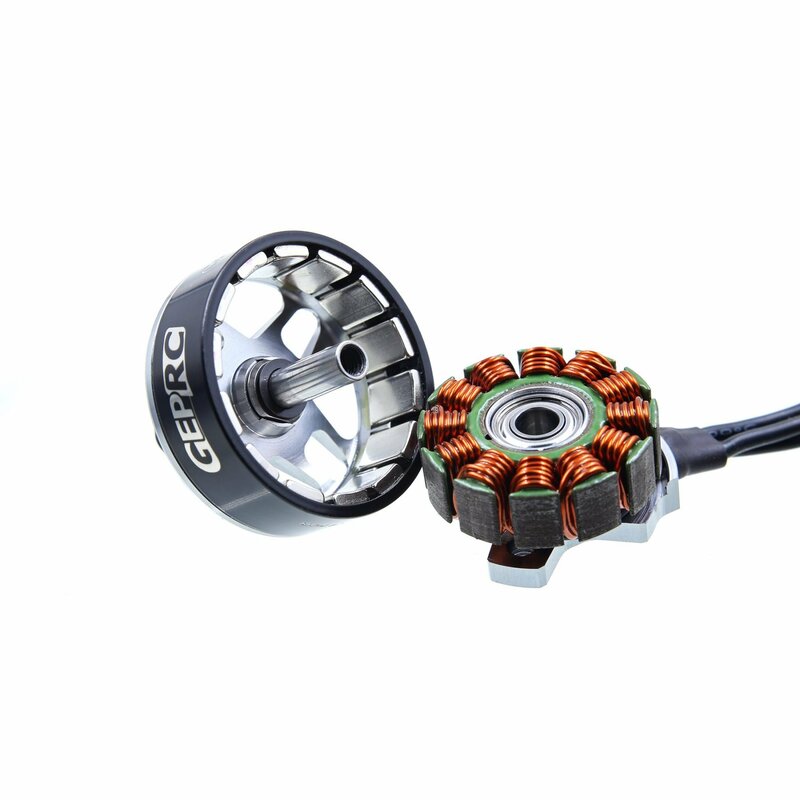 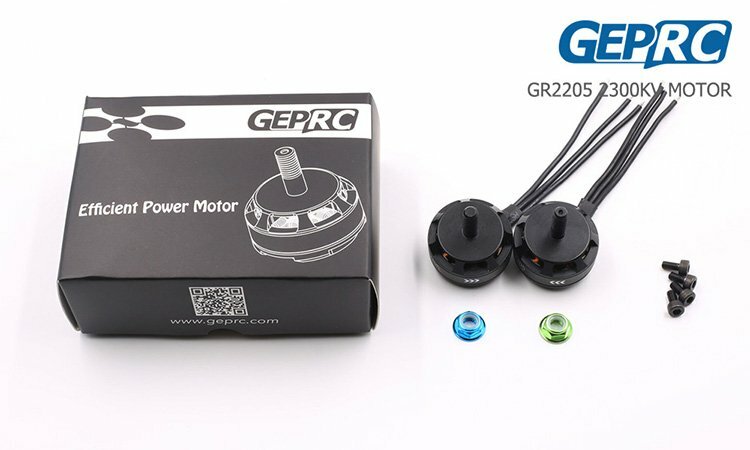 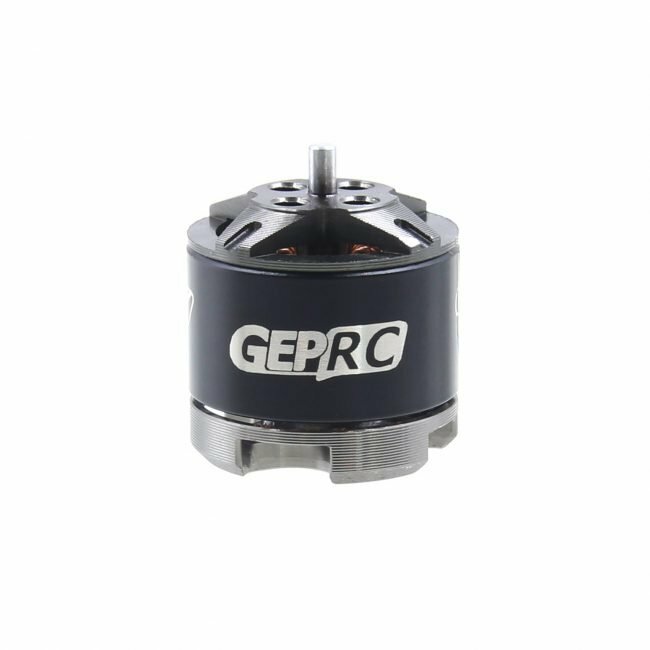 GEP-GR1408 motor is GEPRC’s newly developed brushless motor specially designed for 3inch propeller, a highly efficient and powerful motor, incorporating many new features and quality material throughout and is available in three versions - 3500kv, 3750K and 4100Kv to cater to the most demanding of flyers. 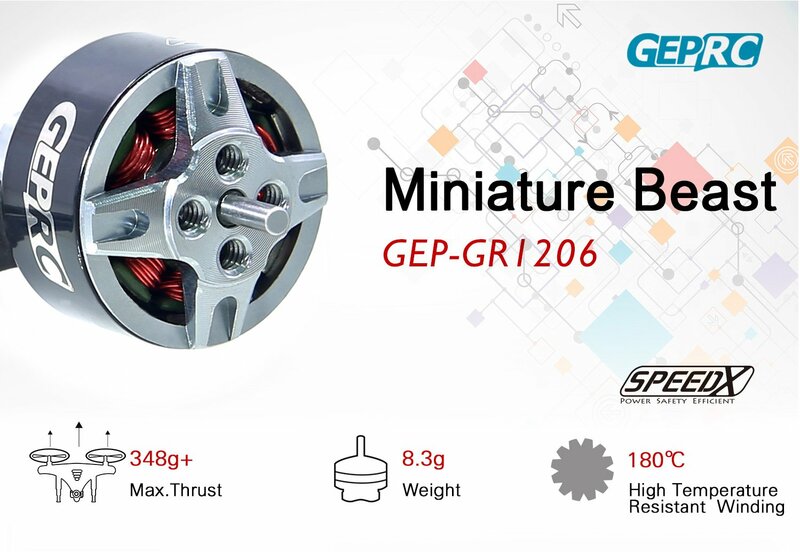 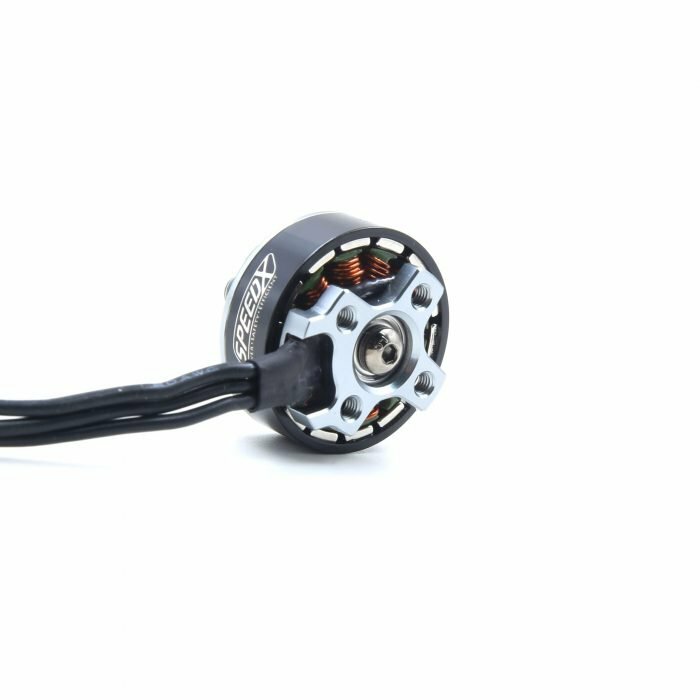 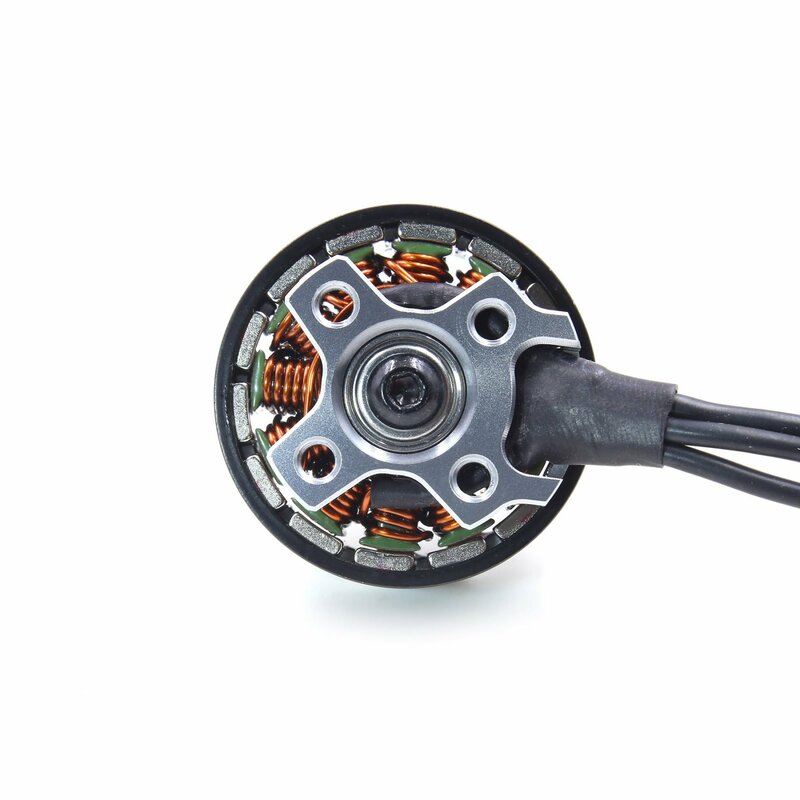 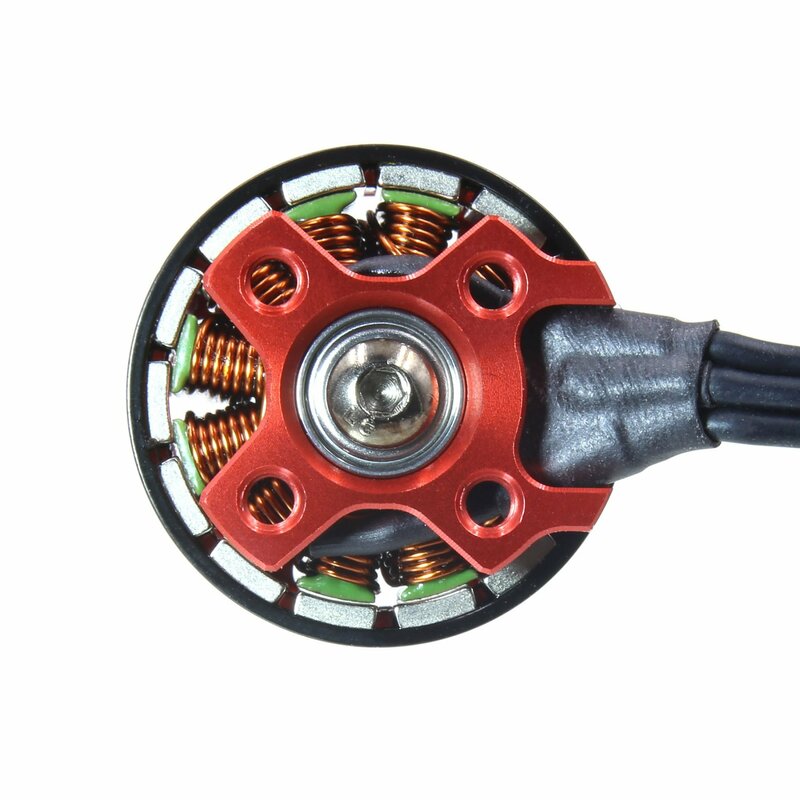 The GEP-GR1408 motor features a new streamlined motor shape, offering ultra-low wind resistance for fast forward flight and efficient heat dissipation. 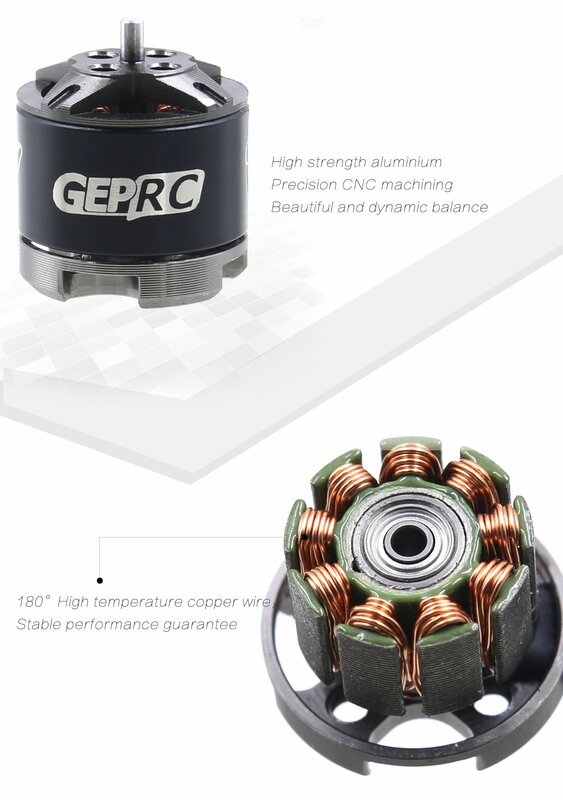 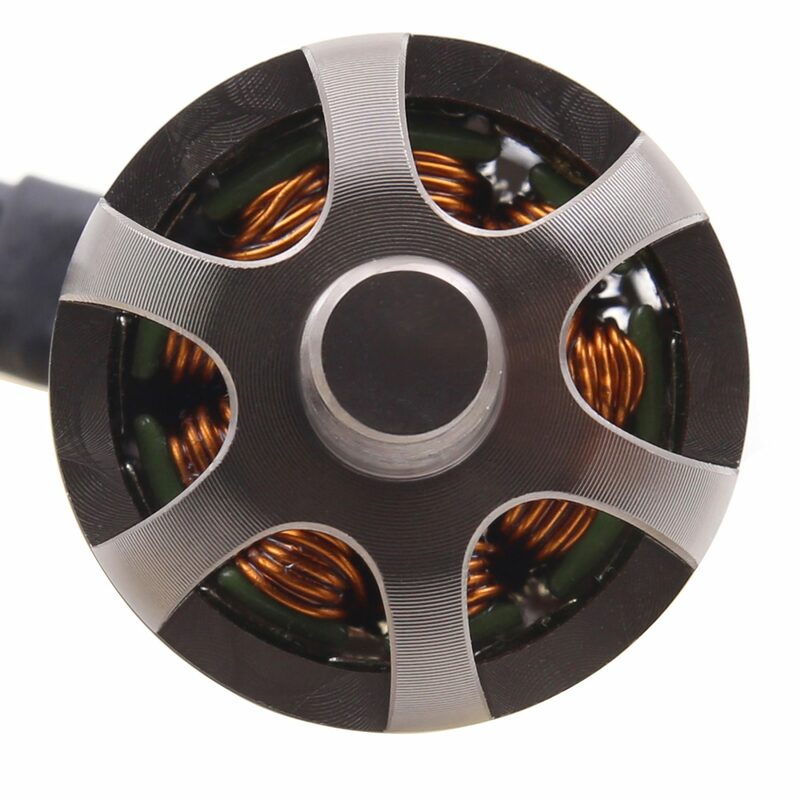 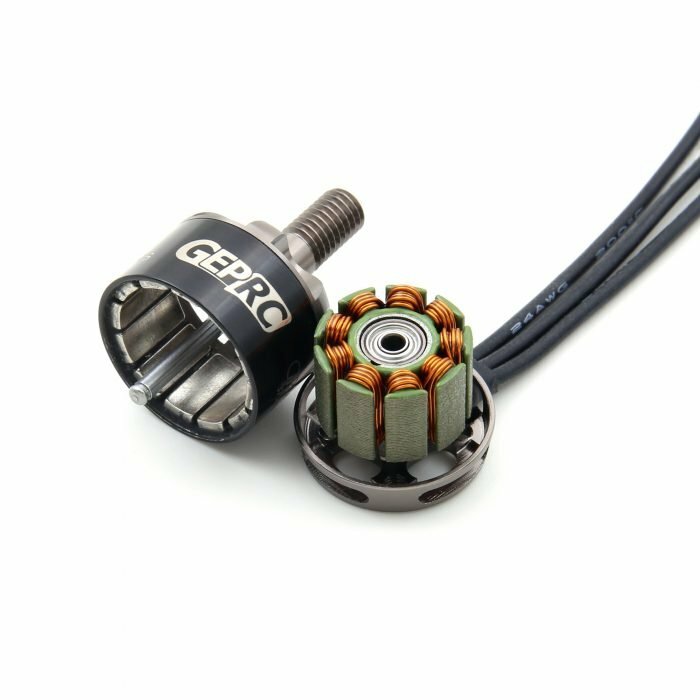 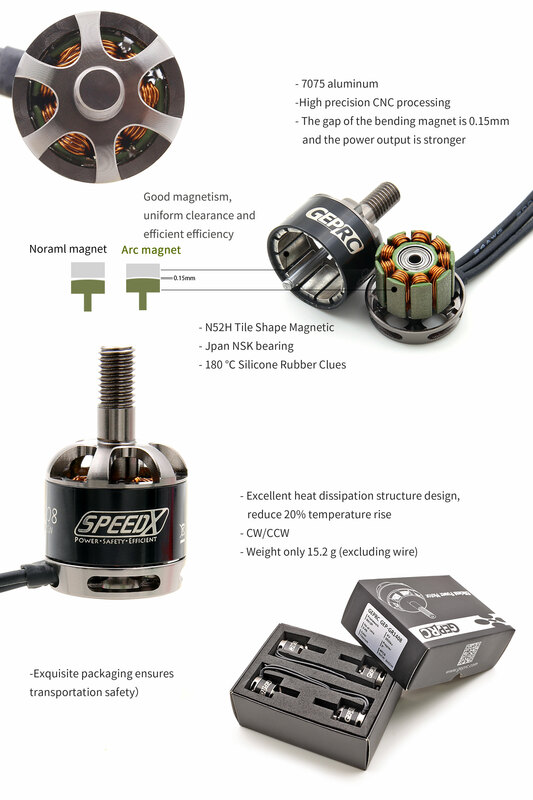 Incorporating high performance N52H curved magnets with a stator to magnet air-gap of only 0.15mm, the GEP-GR1408 motor is capable of high torque. 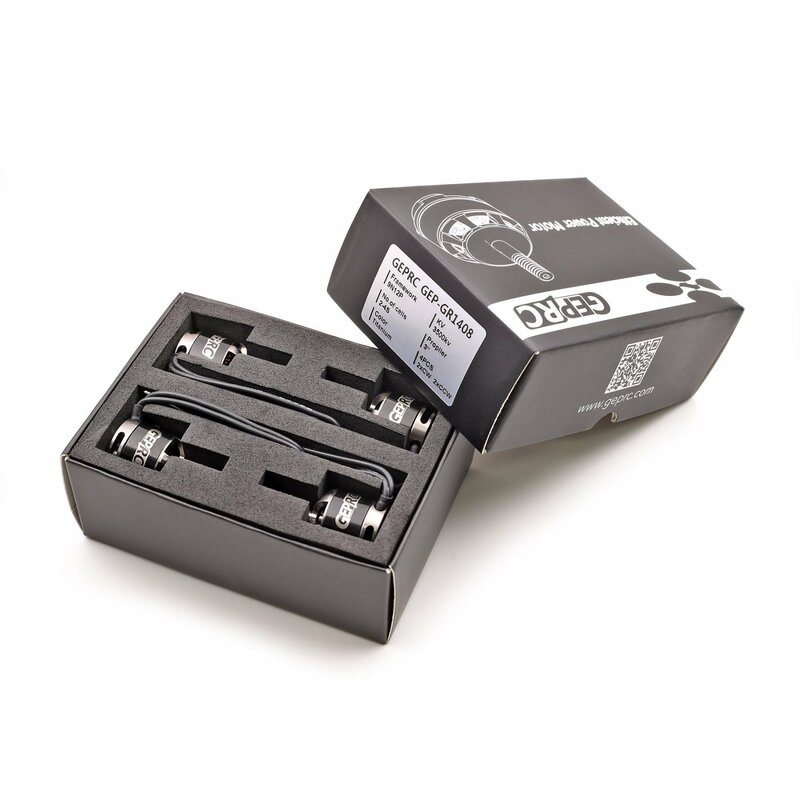 High temperature resistance and low current resistant #180 enameled wire stator coil ensures stable power output throughout the throttle range and further enhanced by durable smooth running NSK Japanese bearings. 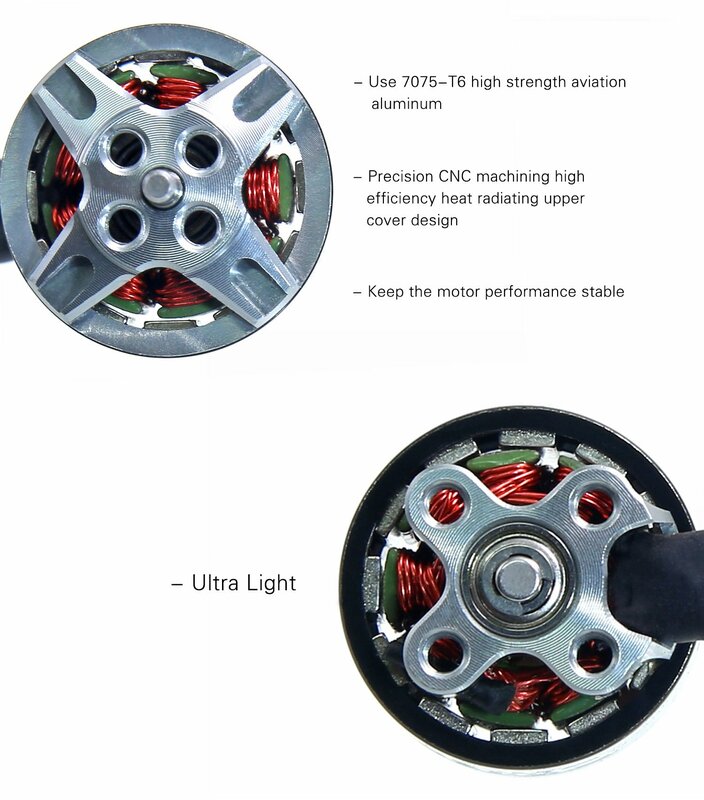 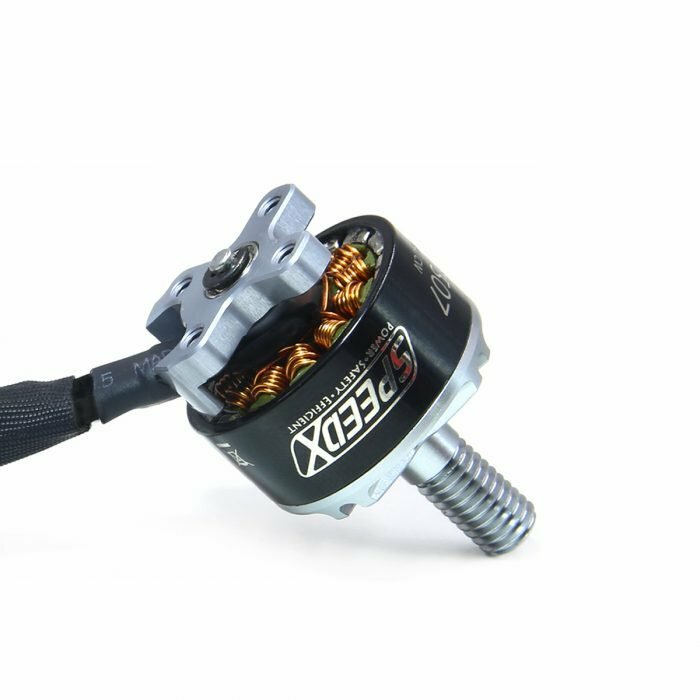 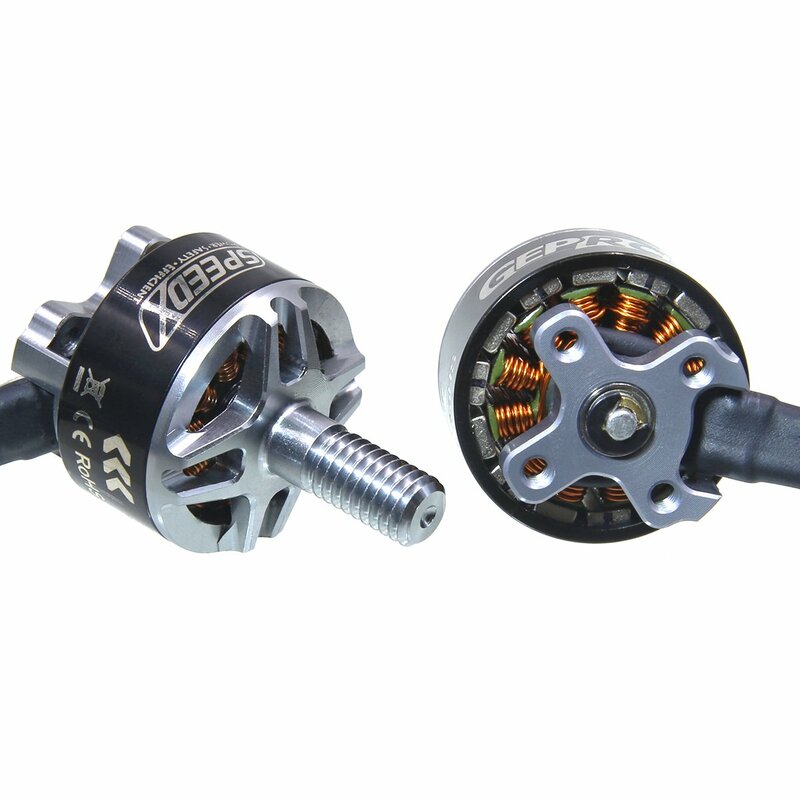 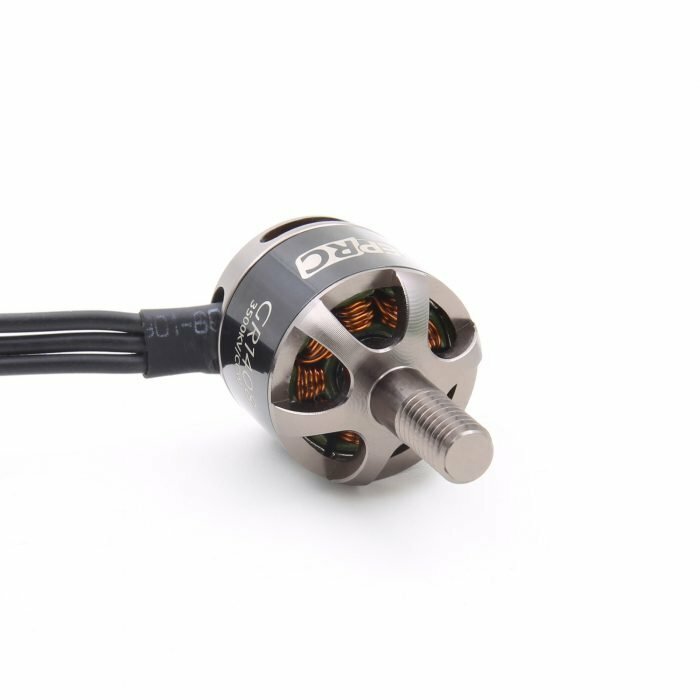 The high precision CNC machined #7075 aluminum shaft increases crash durability of this motors while the large ventilation slots in the bell keeps the motor temperature low. 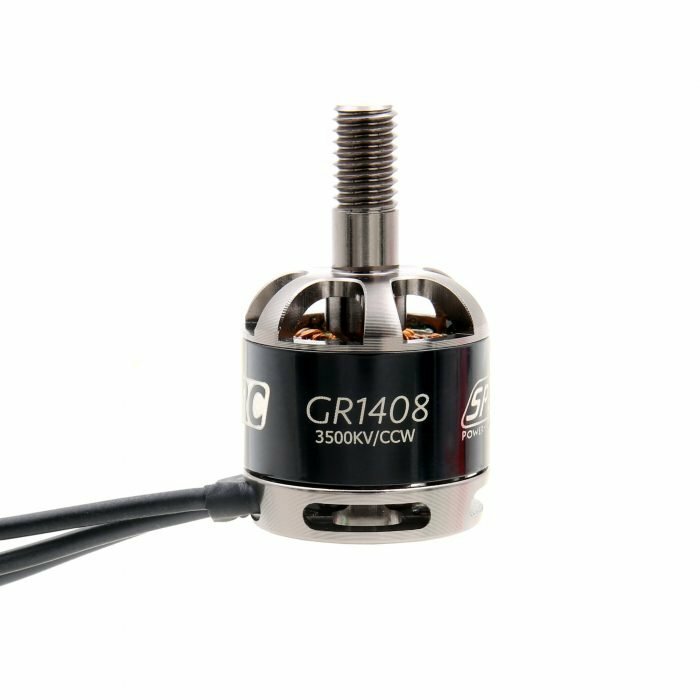 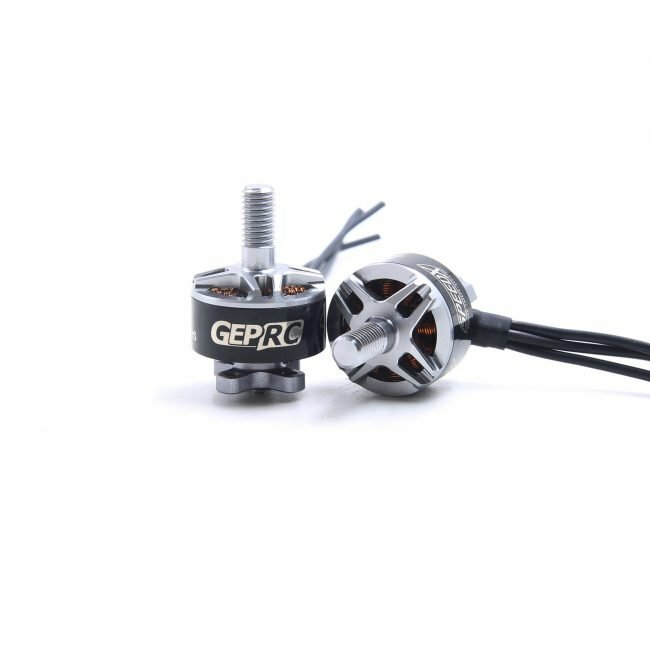 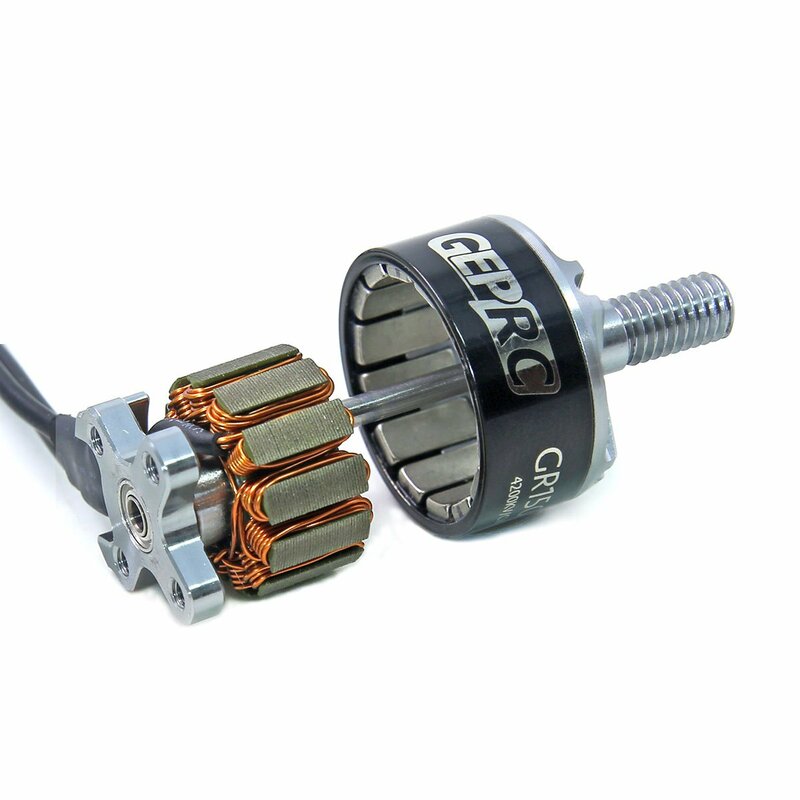 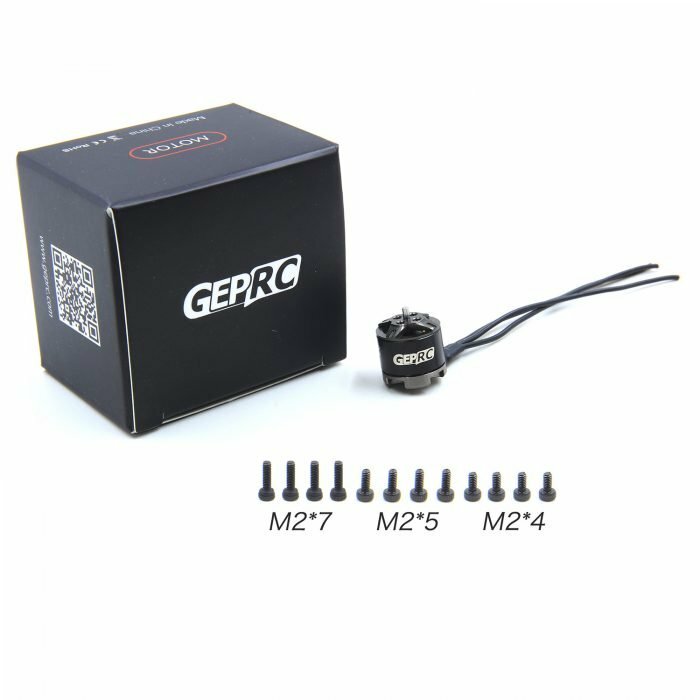 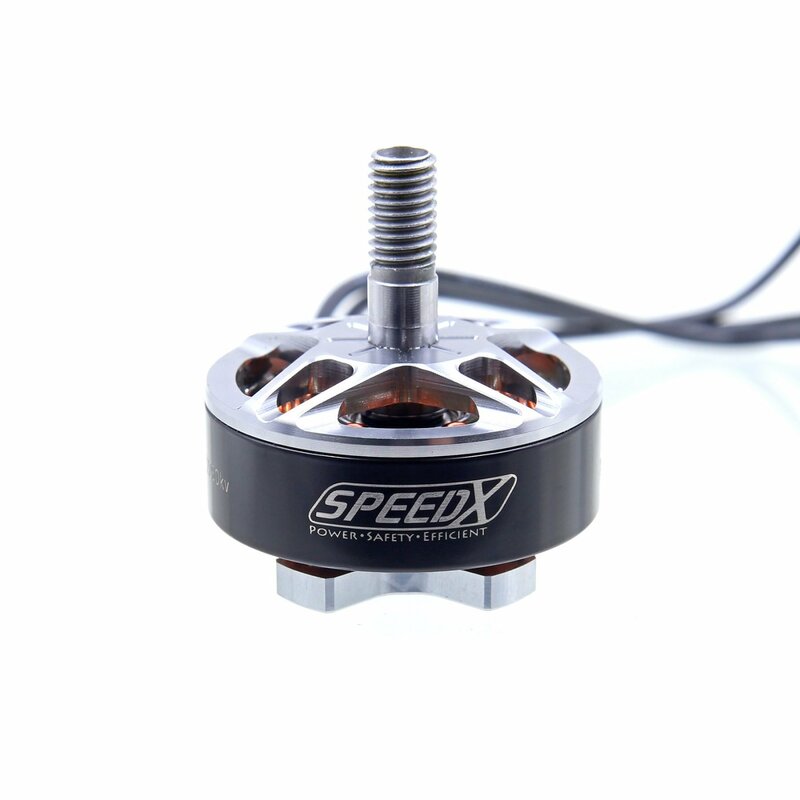 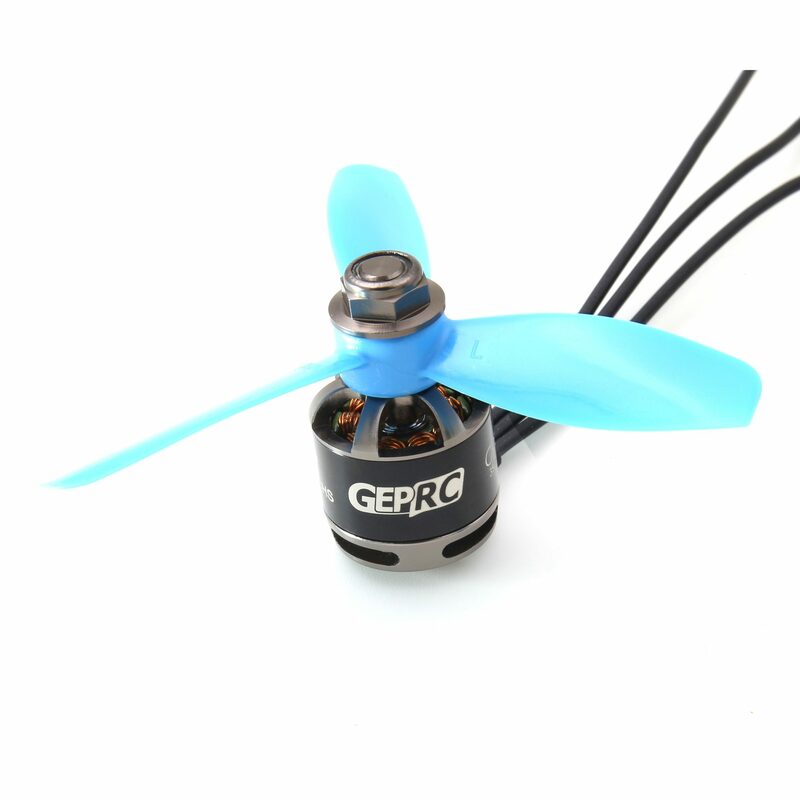 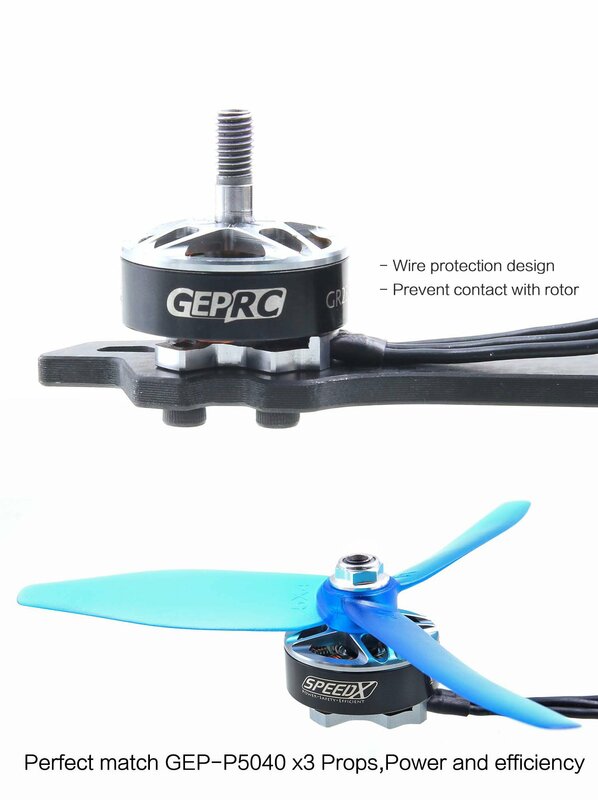 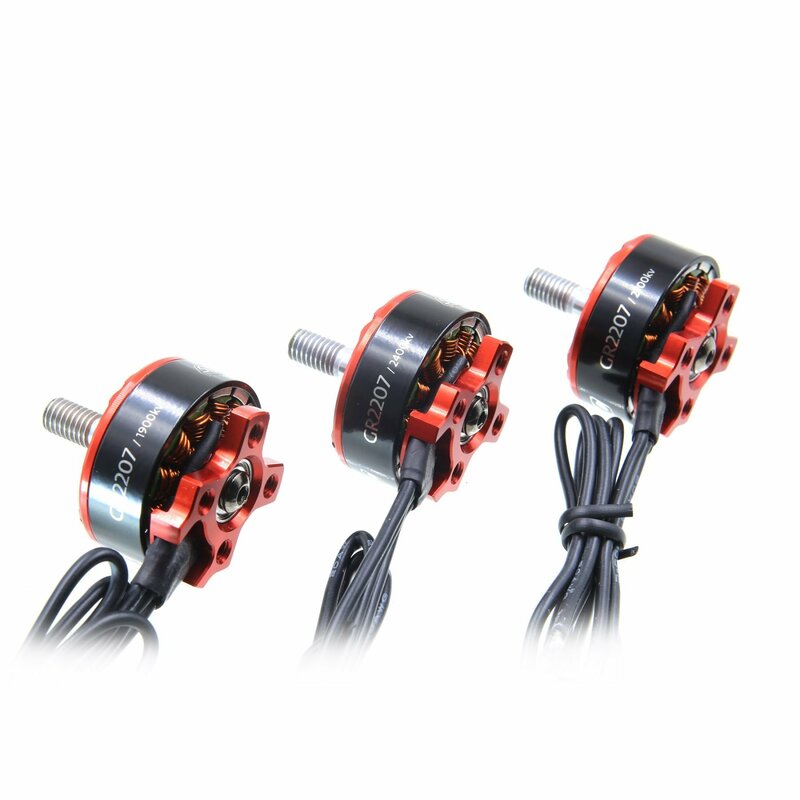 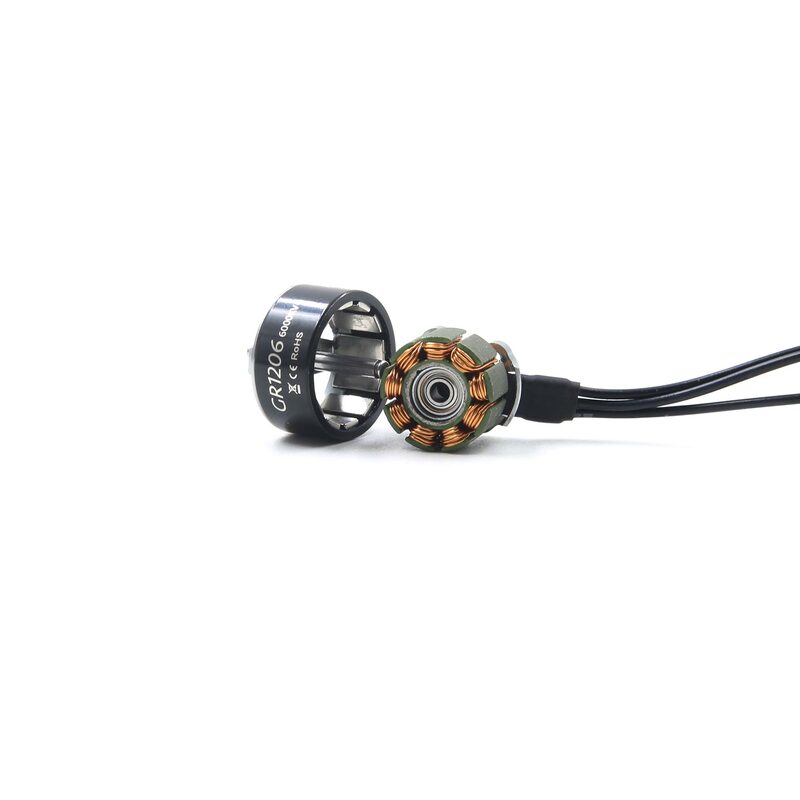 The GEP-GR1408 motor is optimized for 4S lipo and designed especially for 3inch propellers and when used with the GEPRC 3042 triblade propellers, it provides high output efficient performance. 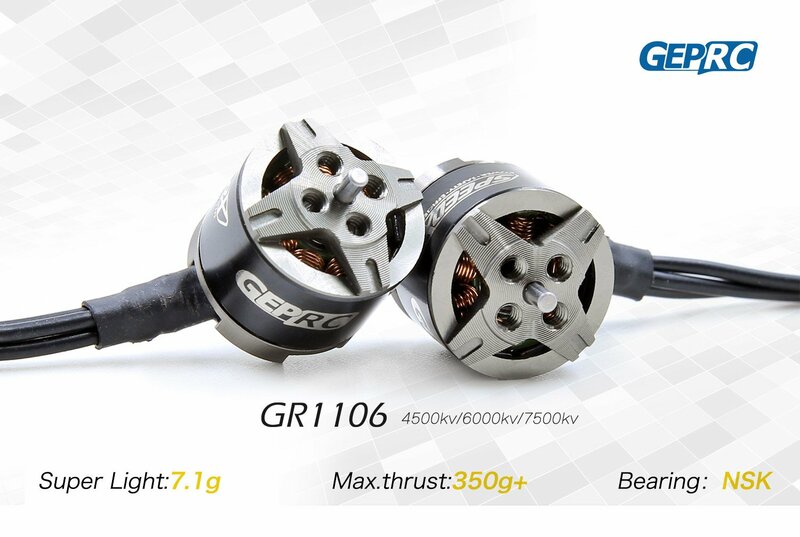 At only 15.2 g, the 4100Kv version generates an amazing 482g. 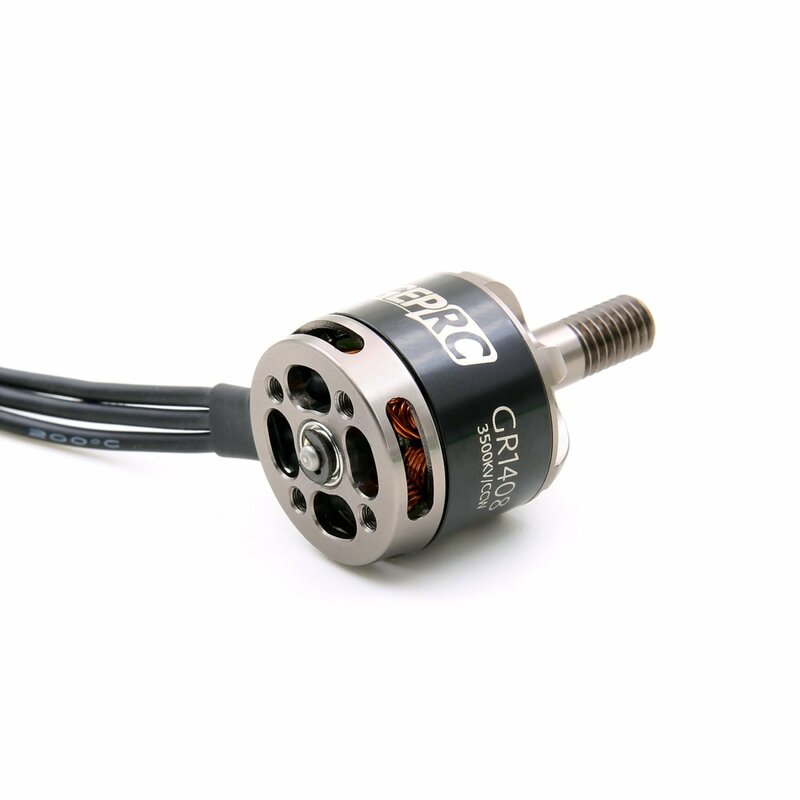 The GEP-GR1408 motor is available in both CCC and CW threaded shaft. 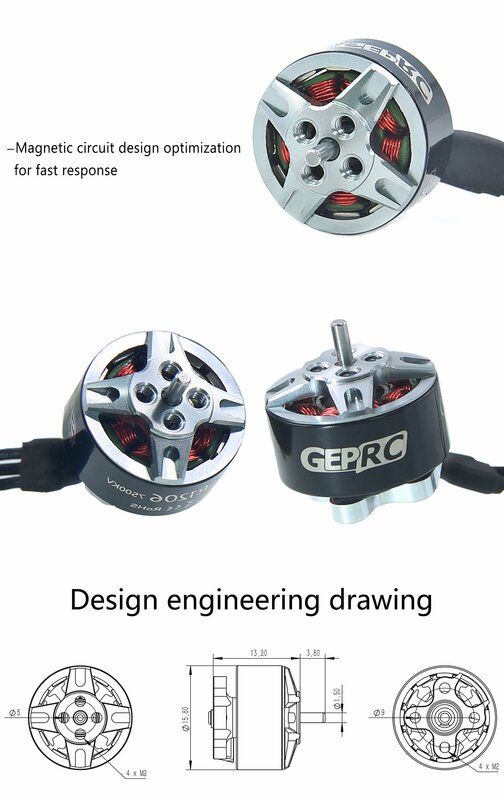 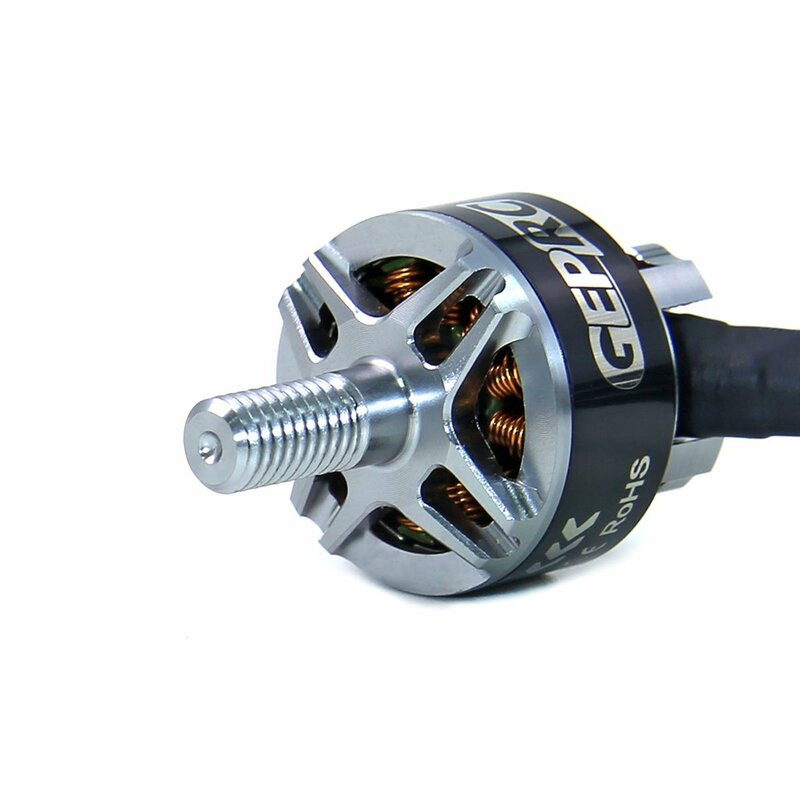 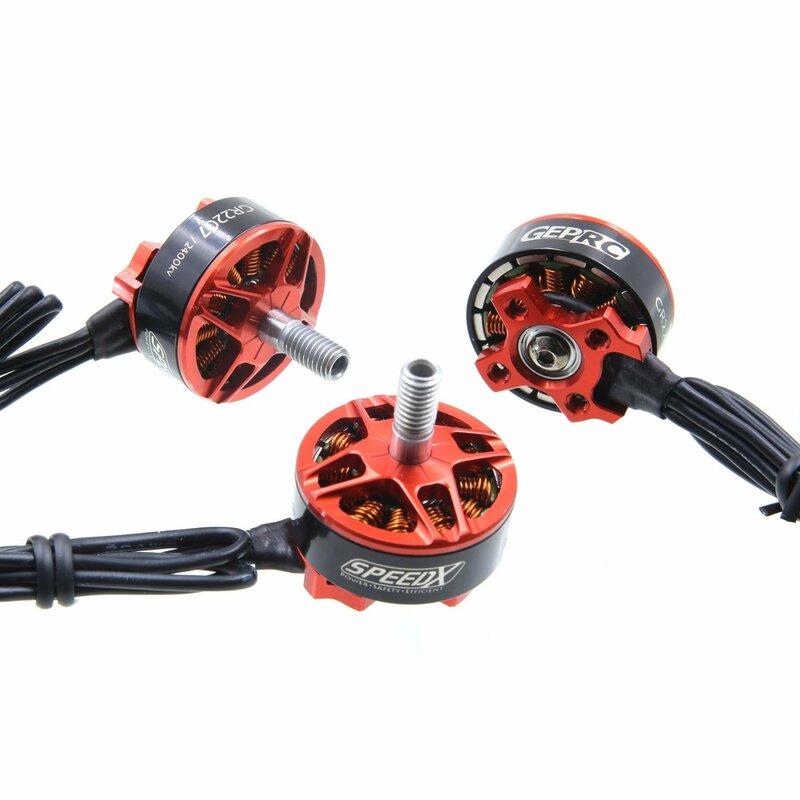 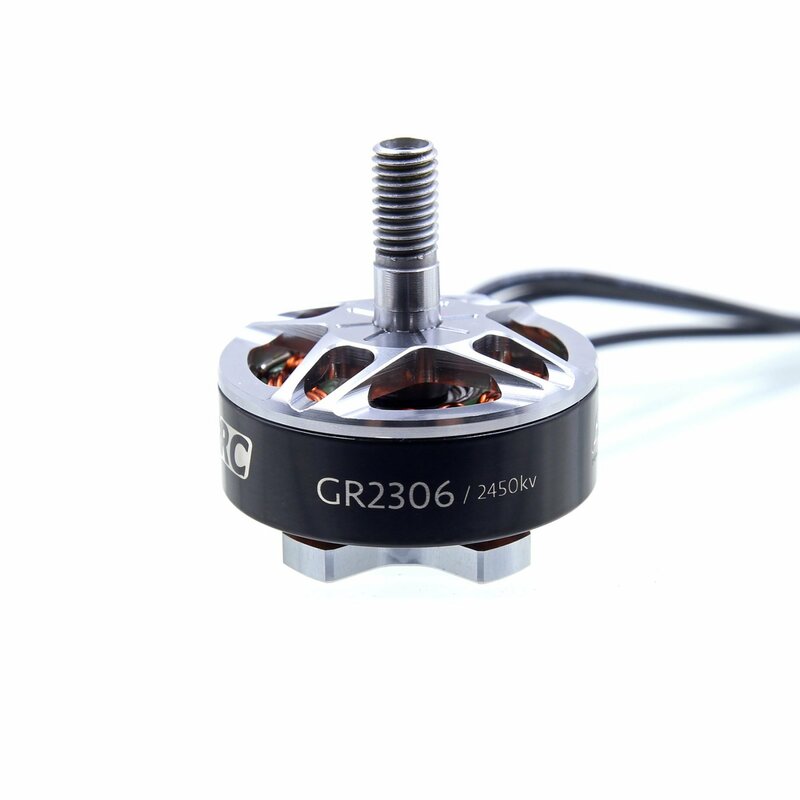 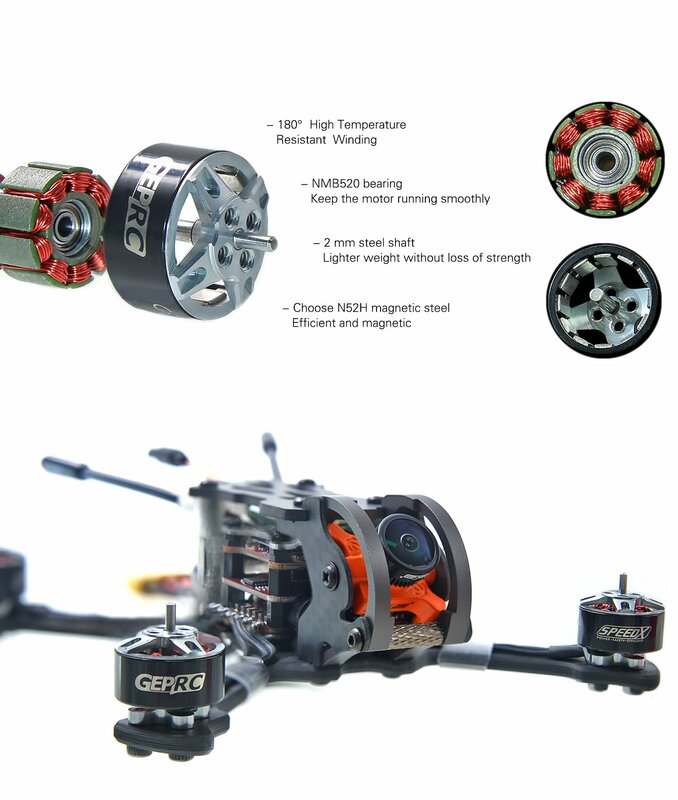 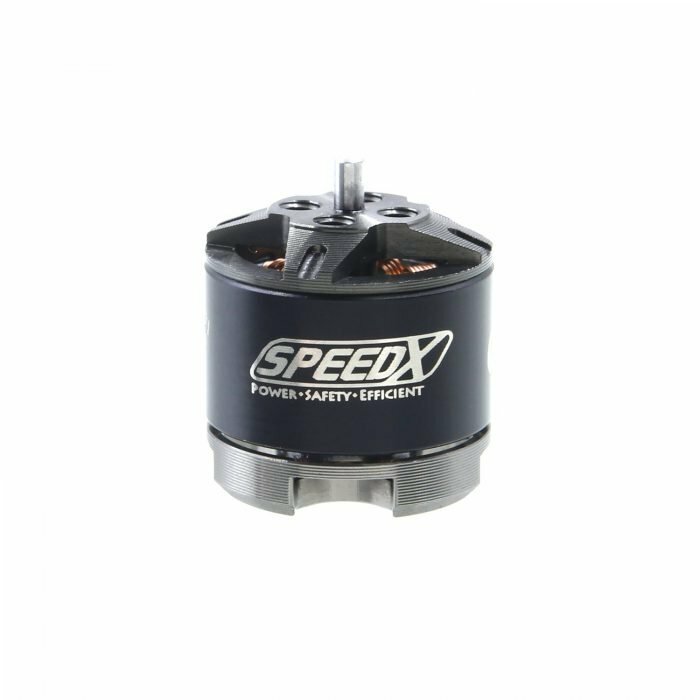 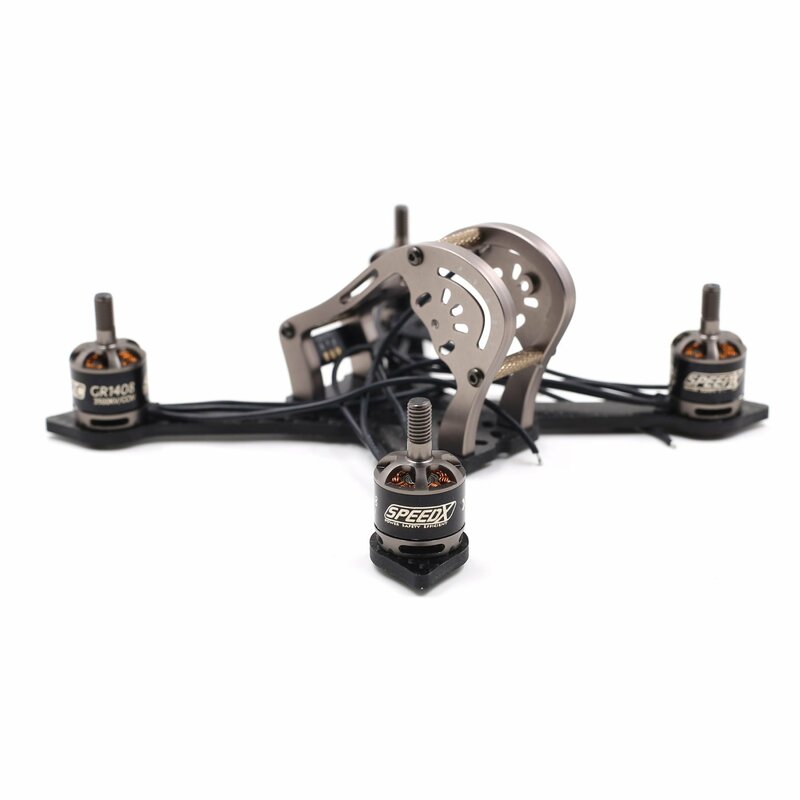 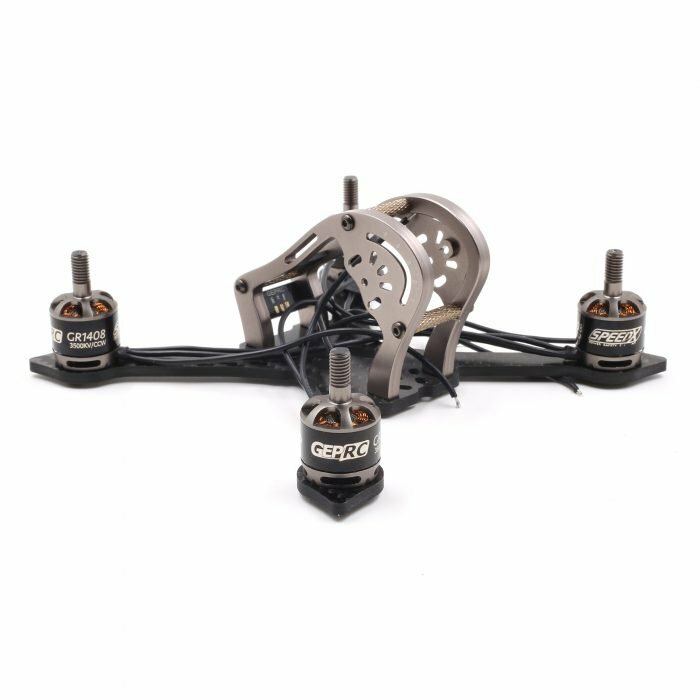 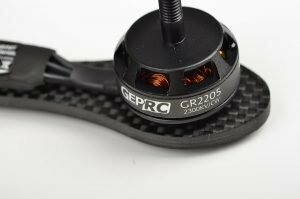 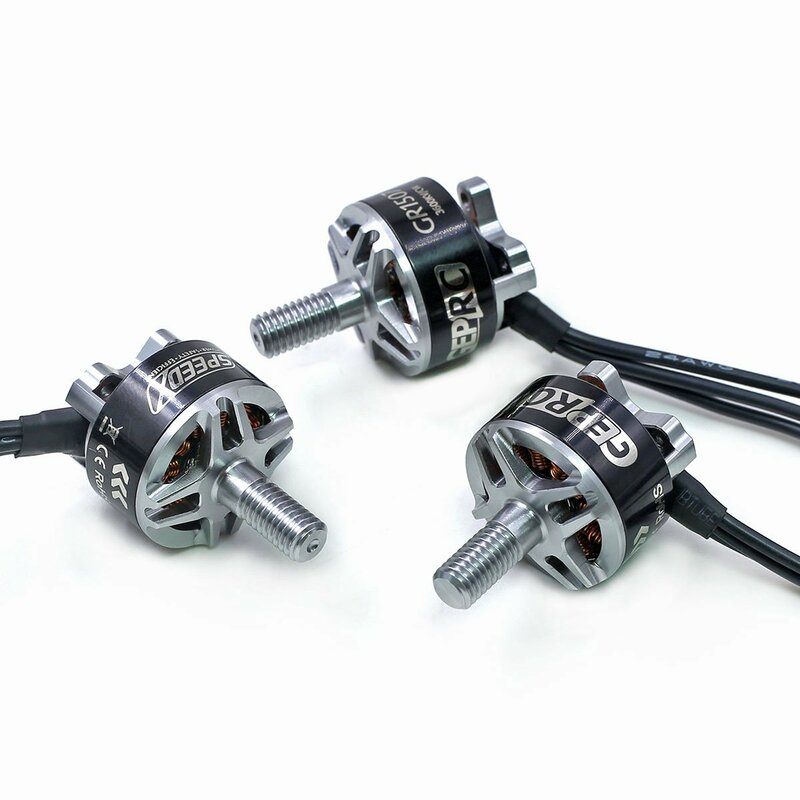 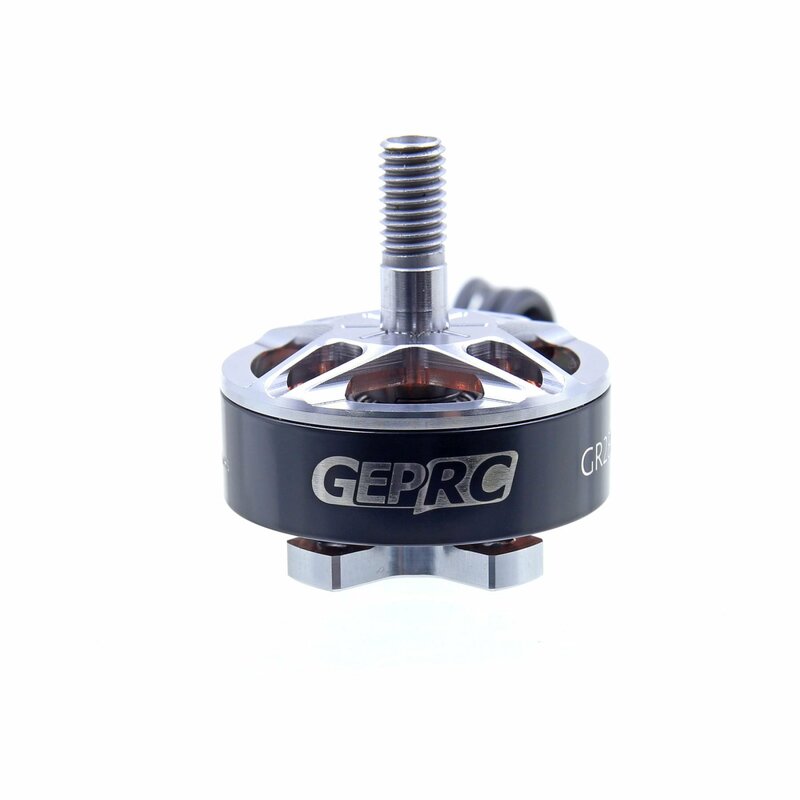 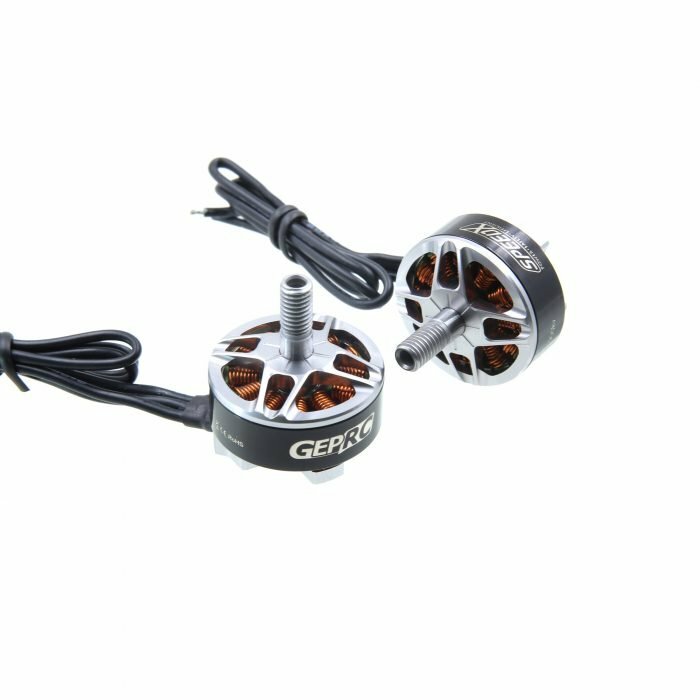 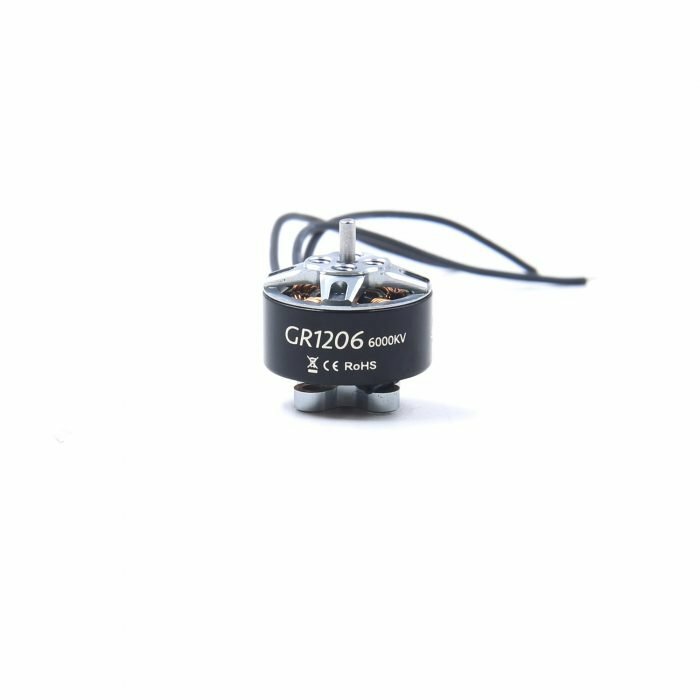 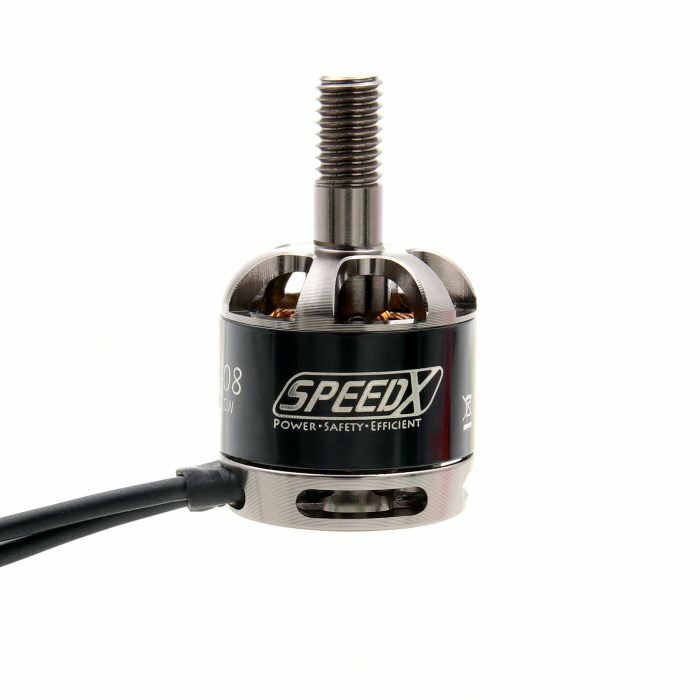 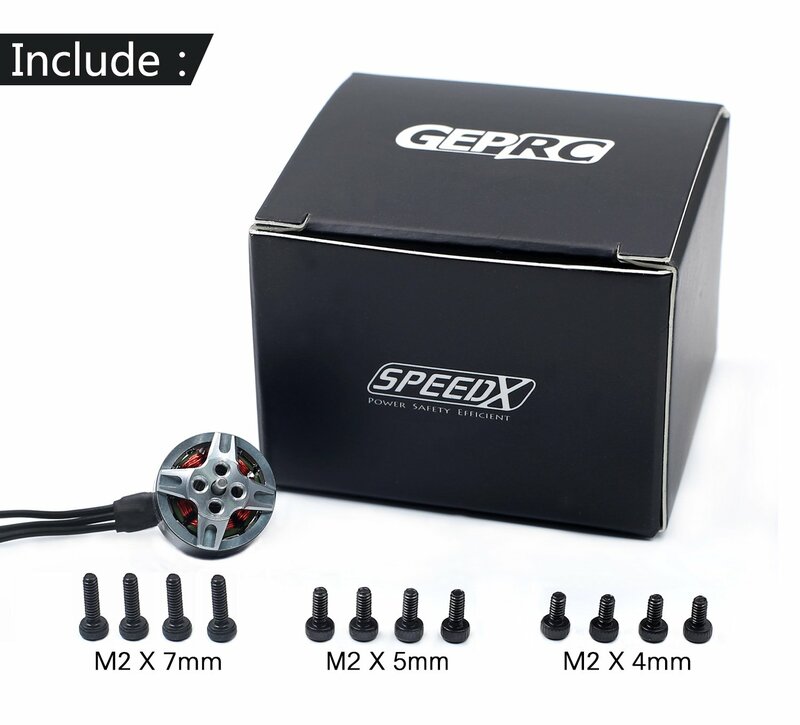 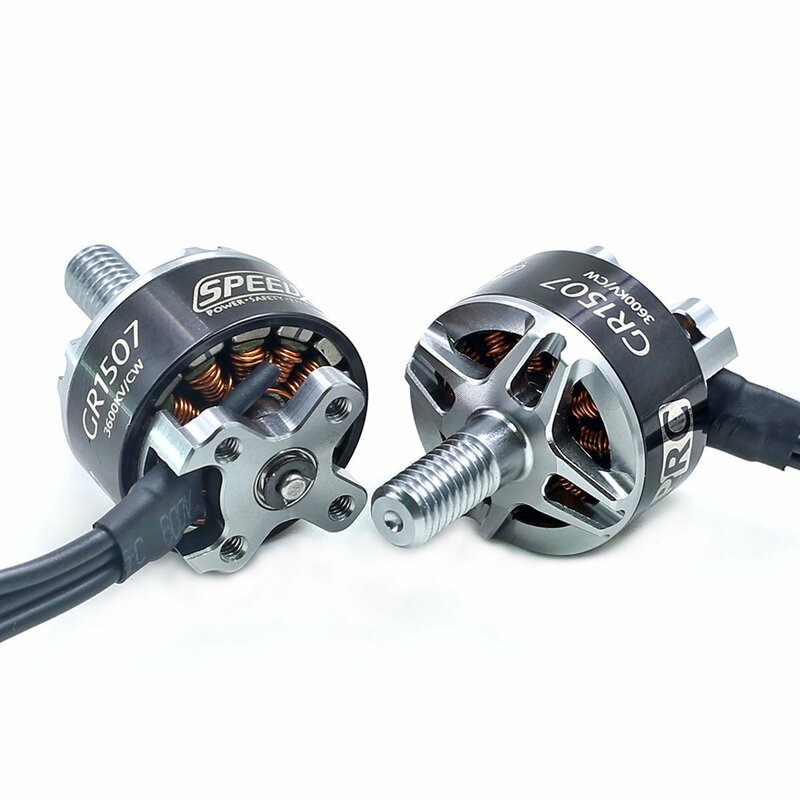 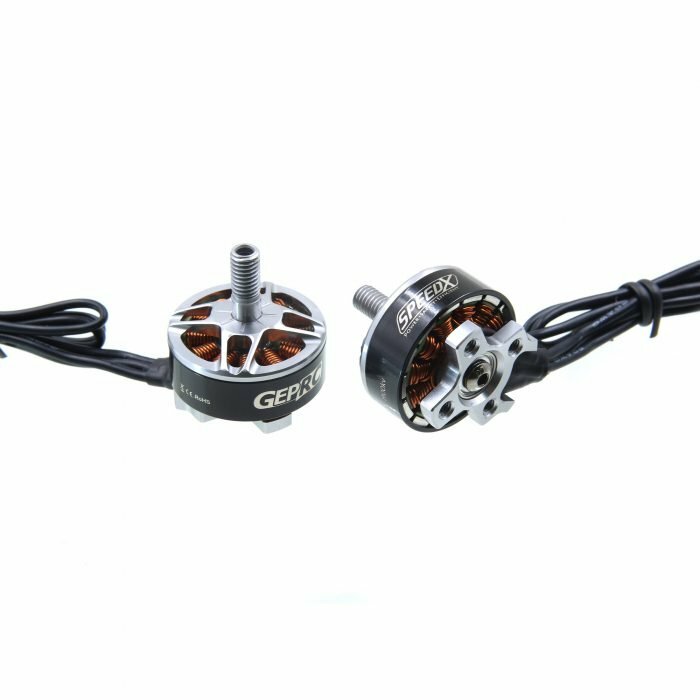 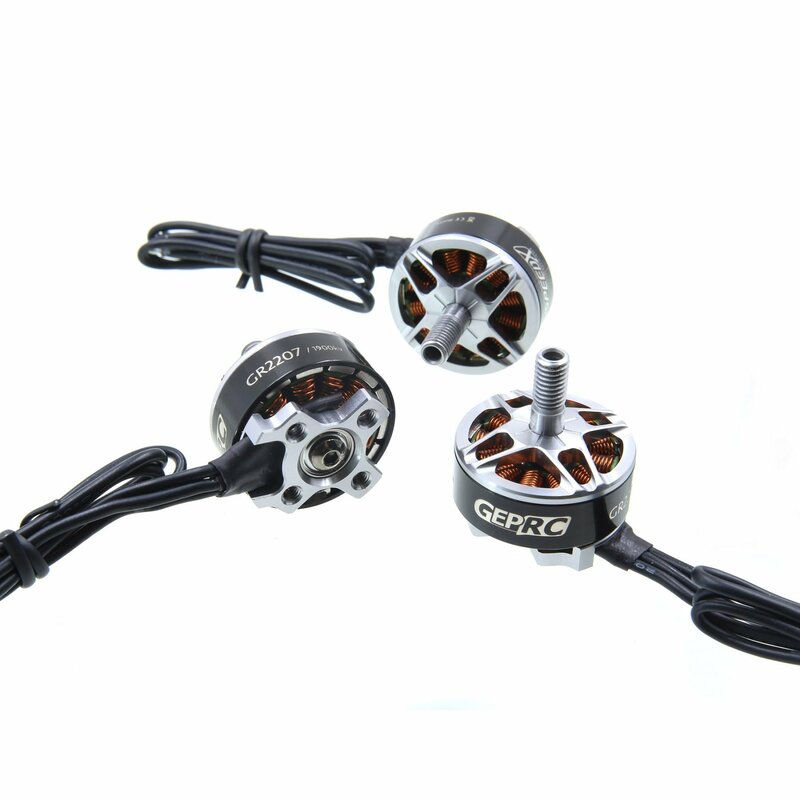 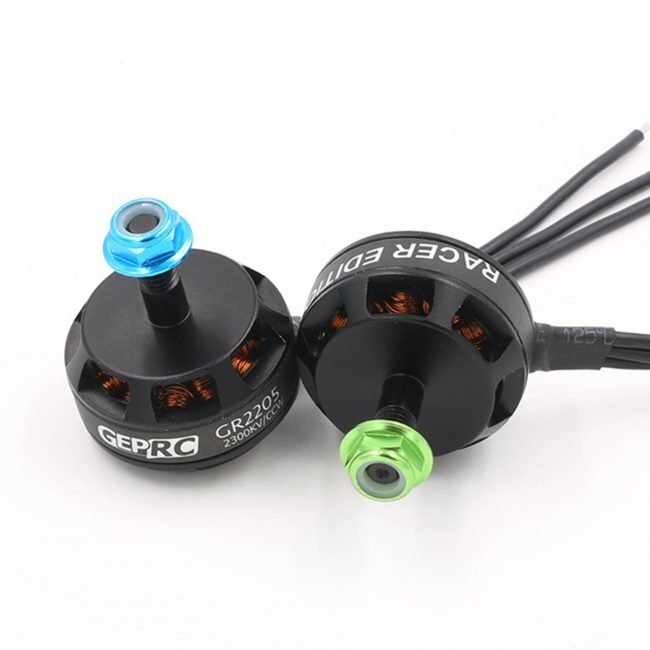 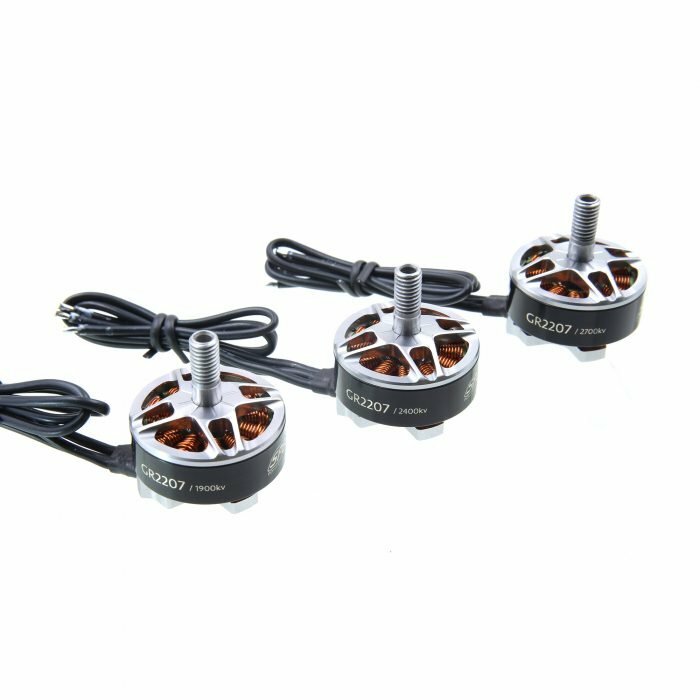 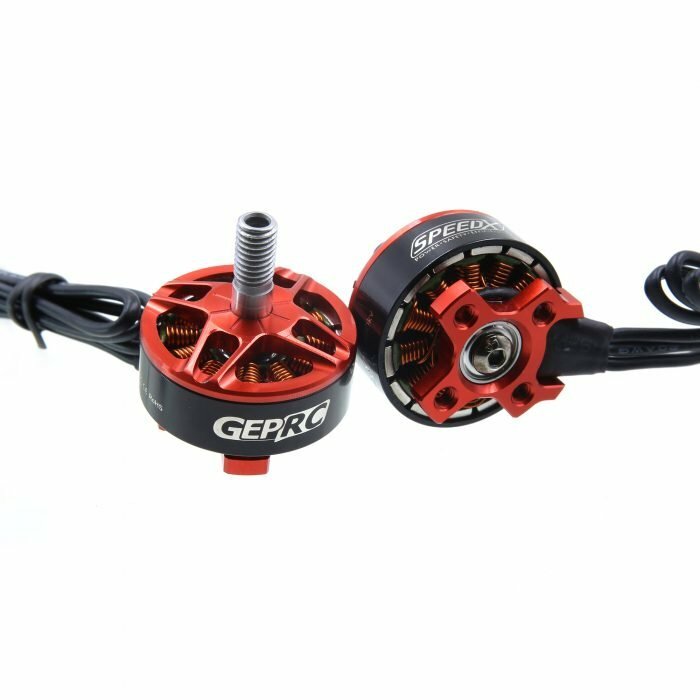 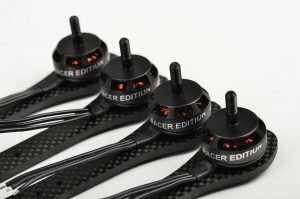 GEP-GR2205 2300kv Racer Edition Motor, We studied a lot of flying habits. 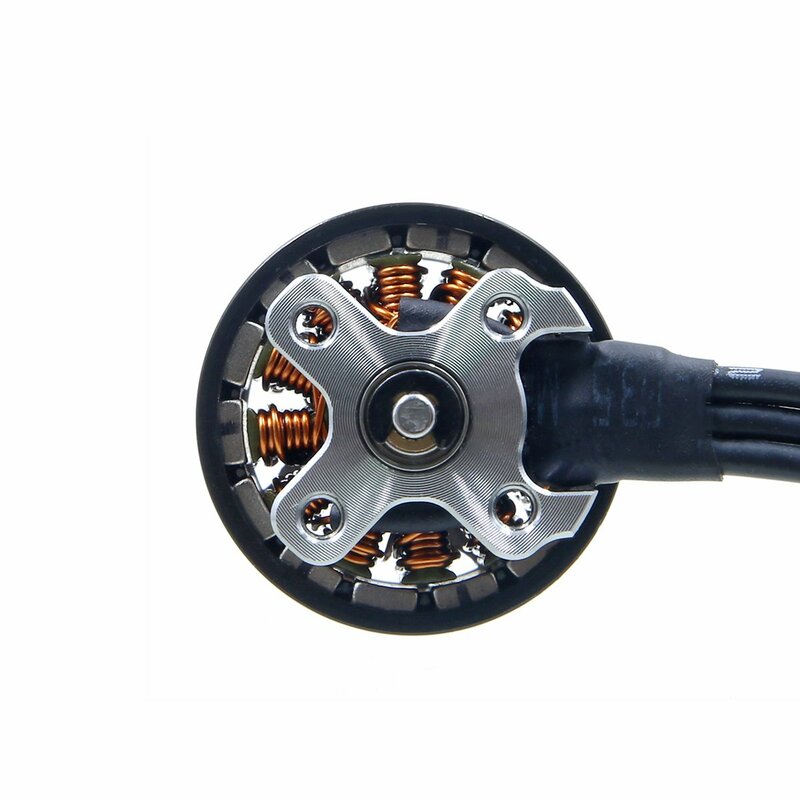 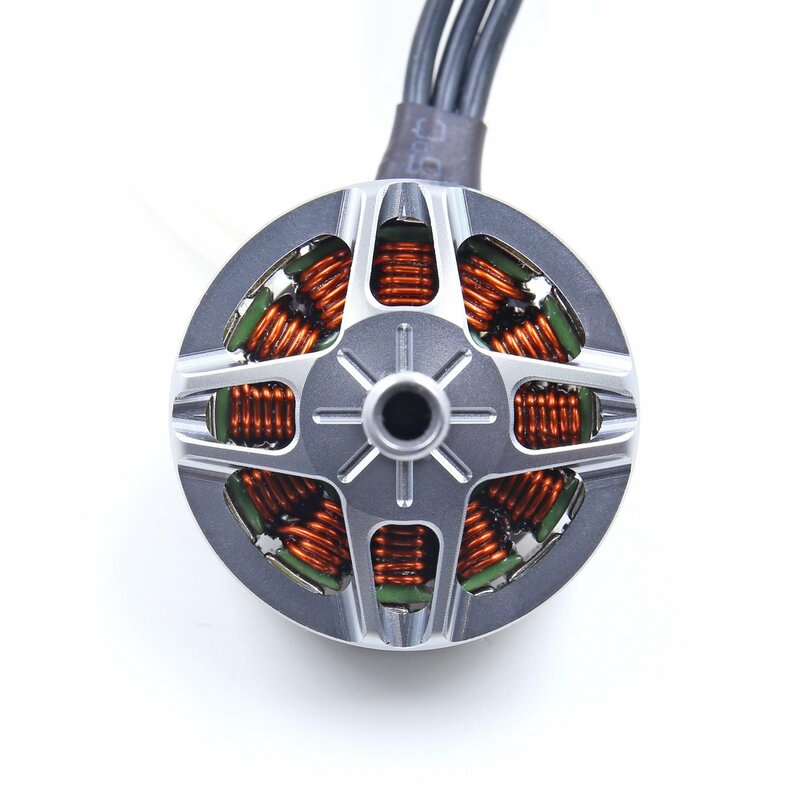 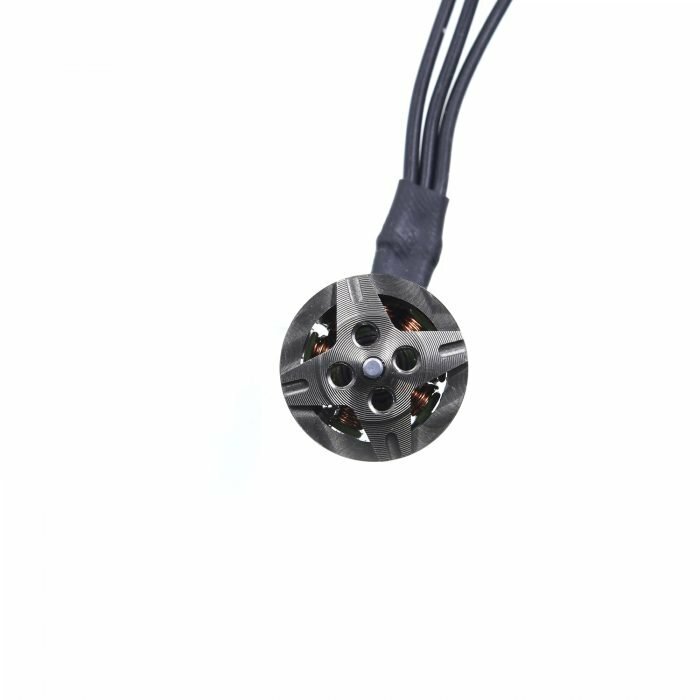 Motor most of the accelerator will be in the range of 60-90%, So the power of the motor is very important, So we use magnetic N45SH label, SH model with high magnetic loss characteristics, can let the motor to ensure high-speed running off magnetic, protection of electric, magnetic. 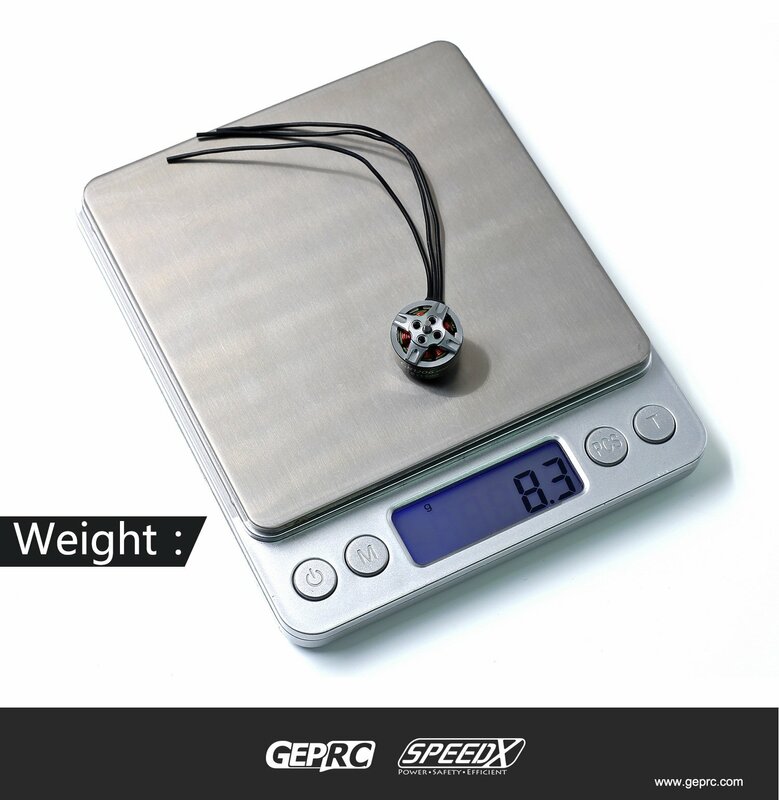 The appearance design of durable structure, very suitable for racing requirements. Freestyle flight effect also can output power be not of the common sort, make the plane landed at high speed, flexible. 1. 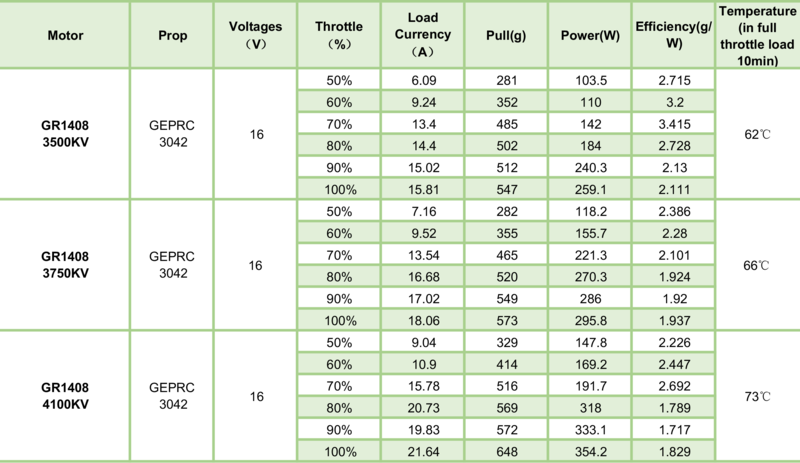 The best effect and the best thrust of the accelerator is about 70%.